Consider the city council election in New Taipei District 5. This is the Zhonghe 中和區 district, traditionally a KMT stronghold. It elected 6 seats this year. Here are the results. The KMT nominated three candidates, but it only won two seats. Could it have won all three seats? It certainly looks like it could have. The third KMT candidate (Chin) lost the last seat by only about 500 votes. If the KMT had been able to shift a thousand votes from their top candidate (Chiu) to Chin, they would have won the last seat. This is what we call a coordination failure. If the KMT had coordinated their electoral strategy more successfully, they might have won another seat. But wait, you say. The DPP could play that game too. The top DPP candidate had lots of extra votes. If we imagine the KMT could have rearranged its votes, why don’t we assume that the DPP could have as well? In fact, if you allow both parties to distribute their votes perfectly, the DPP comes out on top. The DPP had 81949 votes, so each of its three candidates could have won 27316. 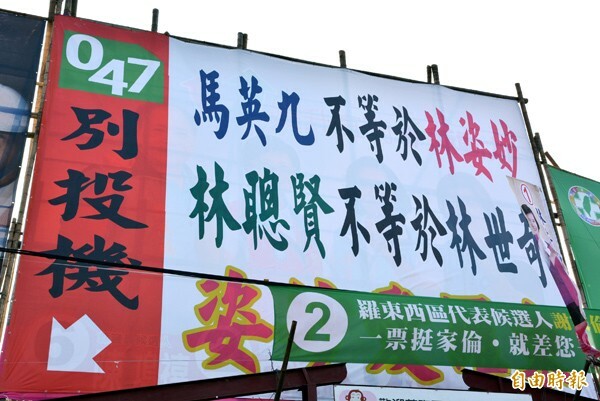 The KMT only had 76213, or 25404 for each candidate. But wait (again!). The independent candidate (You) won with only 24703 votes. If both parties had rationed their votes perfectly, the DPP would have won the first three seats, the KMT would have won seats four through six, and the independent candidate would have lost. So the KMT really could have won three seats with better coordination. Of course, we are knee-deep in questionable assumptions. Most importantly, many of the KMT’s (and DPP’s) votes are personal, not partisan. A person might like Chen because Chen did some constituency service for her or because Chen was her elementary school classmate, and that voter’s second favorite candidate might not be another KMT nominee. Still, it is probably safe to assume that there is a pool of KMT supporters who would be willing to switch to any KMT candidate if that helped to produce more KMT winners. It is not entirely unrealistic to think about moving votes around. Coordination failures are at the heart of the Single Non-transferable Vote (SNTV) electoral system. Like in every system, the most important thing is winning popular support. However, votes must be turned into seats, and this is particularly convoluted in SNTV. Some systems are proportional, such as the party list system used in Taiwan’s legislative elections. If a party gets 35% of the votes, they should get 35% of the party list seats. Some systems are majoritarian, such as the geographical seats in Taiwan’s legislative elections. If a party gets 35% of the votes, it might end up with a very low seat share (if it is opposed by one large party) or a very high seat share (if the other 65% of the votes are fragmented among many smaller parties. SNTV is generally considered to be a semi-proportional electoral system, since parties usually win roughly similar proportions of votes and seats. However, there are no guarantees of proportionality, and a party that suffers too many coordination failures can win a far lower seat share than one might expect. There are three ways to mess up. A party can nominate too few candidates, it can nominate too many candidates, or it can fail to distribute its votes appropriately among its nominees. In the above example, the DPP had enough votes for three seats. It could have messed up by nominating only two candidates. That doesn’t happen very often. It generally only happens when a party does unexpectedly well at the polls. More commonly, a party will nominate too many candidates. Sometimes this happens because the party’s support is shrinking. Usually, there simply are too many people who want to run, and none of them are willing to step aside. In the last two election cycles, the KMT has suffered both of these. 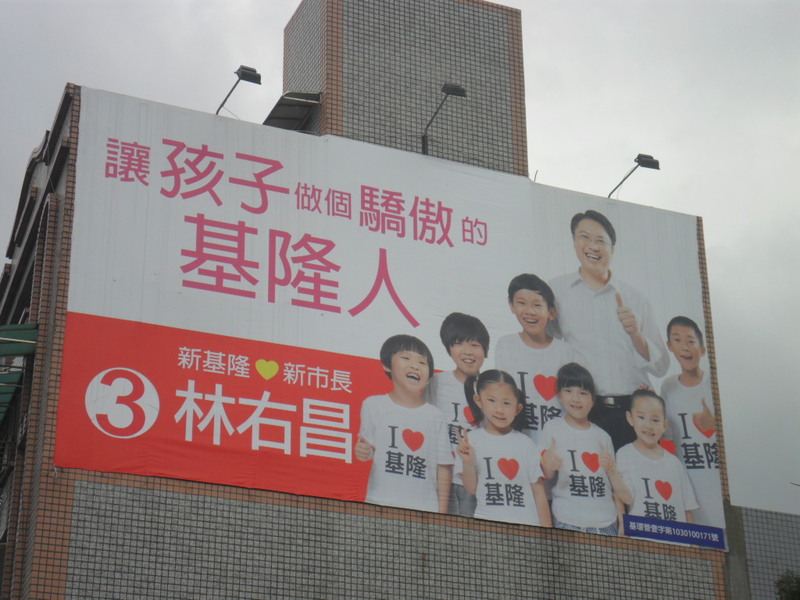 The 2010 Taichung city council race was a particularly stark example. In the old Taichung County, the KMT’s vote share fell from 45% in 2005 to 35%, while the reduction in total seats meant that there were lots of incumbents who were unwilling to step aside. The result was too many candidates chasing too few votes and a KMT bloodbath. The third failure is the one we saw in 2014 New Taipei 5, the failure to ration votes evenly to each nominee. This is the most common error. One of the big questions in the academic literature is whether SNTV is good for small parties or for big parties. The initial answer was that it must be good for small parties. Small parties face much simpler coordination problems. It is much easier for small parties to figure out how many people to nominate. The answer is almost always one. With only one candidate, vote rationing is not a problem. Supporters simply vote for the only party nominee on the ballot. If there are enough votes for two seats, things get more difficult. The small party might nominate incorrectly, not believing it really has that much support. More importantly, with two candidates, vote rationing becomes a challenge. It is hard to ensure that both candidates will get the same number of votes. If two is hard, three is harder. Compared with four, three is a breeze. In general, the more seats a party can win in a given district, the harder it is to turn those votes into the full number of seats. If this is correct, it should be very hard to hold big parties together, since the electoral system rewards smallness. So who made more errors this year, the KMT or the DPP? On the one hand, the KMT was the governing party, so we should expect it to do better. (National governing power has generally been a better indicator than local governing power.) 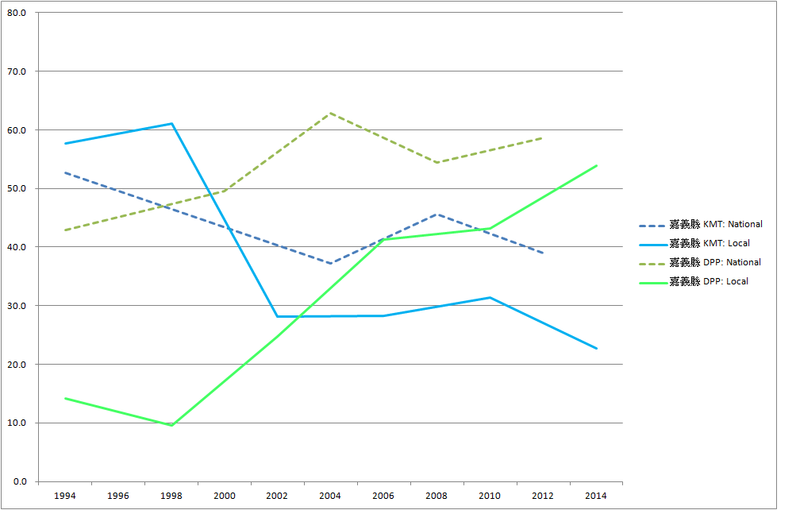 On the other hand, the KMT had a surprisingly awful election in terms of winning votes. It is always harder to shrink than to grow, so we might expect that the KMT overnominated in too many places. Measuring coordination failures is a subjective matter. Some people insist that we should judge whether the KMT erred based on the actual performance of all the other candidates. In the Zhonghe example, the KMT should have known that its candidates each needed at least 21679 votes (since the last wining non-KMT candidate got 21678), so it failed. I think this demands too much, since it assumes the KMT could estimate how many votes each individual candidate would get (after the other parties rationed their votes) and then ration its own votes appropriately. I prefer to assume simply that the parties can estimate how many votes each party will get, but not how many votes each individual candidate will get. We can then assess how many seats each party “should have” won (with no errors) and how many it actually won. If no one makes any errors, SNTV becomes equivalent to the D’Hondt system. D’Hondt is a system of divisors which essentially asks how many votes you can pay for each seat. Take all the parties’ vote totals, and give the first seat to the highest number. So the DPP wins the first seat. Then divide that party’s vote by two. The next seat goes to the new highest number, so the KMT wins the second seat. After that, the DPP wins the third seat, and now the DPP’s vote total is divided by 3. Eventually, the KMT and DPP both win three seats. Given the KMT’s 76213 votes, it can give three candidates 25404 each. The DPP can’t take away and of those seats. If it tried to nominate four candidates, it could only give each one 20487. This would put them behind not just the KMT’s three candidates, but also behind You. Thus, my expectation for this district is that the KMT and DPP should both win three seats. You will notice that in this example, when a coordination failure occurs, it costs a big party a seat and a little party (in this case, an independent) benefits. This is not unusual. Little parties often depend on big parties making mistakes. Little parties might not have enough votes to be assured of winning a seat, but they might have just enough to be able to sneak in whenever a big party messes up. The KMT won 36.5% of the votes and had a potential seat bonus of 6.7%. However, it only managed to realize part of that and had to settle for 40.3% of the seats, a seat bonus of 3.8%. The DPP’s potential seat bonus was a bit smaller (5.9%) as was its actual seat bonus (2.9%). Overall, I think the two parties both did quite well. They both had numerous districts with four, five, or more nominees, and these are extremely difficult to get right. Both big parties are getting quite good at playing this game. There are people who think that this need for appropriate nomination and vote rationing strategies is an argument for abolishing the SNTV system. Sometimes more seats can go to parties that have won fewer votes, and that is a basic failure for any electoral system. However, the more I think about it, the more I like it. SNTV rewards parties for developing the capacity to act collectively. If you want to be big enough to win governing power, you need to be able to resolve your internal differences. Parties that can overcome these coordination challenges are rewarded with more seats. There are always temptations to break ranks, but parties that can effectively cooperate will reap an electoral reward. Just for fun, let’s try something else. Remember that I said the D’Hondt system was the friendliest PR system for big parties? Note that in the above table, small parties and independents (who are simply single person parties) are dramatically underrepresented. What would produce a more proportional result? There is already a much more proportional system in use in Taiwan. The Central Election Commission uses a quota formula used to determine party list seats in the legislature and also to apportion legislative or city council seats to various districts. Again, start with the party totals in Zhonghe. Calculate the quota by dividing the total number of votes by the number of seats. Quota=205618/6 = 34269. Divide each party’s vote total by the quota to determine how many complete quotas each party gets. In this example, the KMT and DPP both have enough votes for two full quotas. However, that is only four seats, and this district has six. The last two seats are determined by comparing the remainders. In this case the largest two remainders belong to You and the New Party. This formula is clearly more favorable to small parties. The DPP has 5.8 times as many votes as the New Party, but it only wins twice as many seats. Whether you think that is reasonable probably depends on how you feel about small parties. The difference between the two systems is roughly the difference between preset prices and haggling. In the quota system, the price of each seat is fixed. If you have a quota, you can buy a seat. In D’Hondt, you can bargain. Ok, I’ll give you x votes for 2 seats or y votes for three seats. The critical difference is that the price for a full seat is lower in D’Hondt. Big parties buying multiple seats at full price can thus buy more seats. If the price of a quota is higher, why do small parties do better in a quota system? They don’t pay full price! The last seat a party wins can come at a discount. For small parties, the last seat is the first seat. Thus the New Party was able to win a seat with only 40% of a quota. These extremely cheap first seats can cause major problems. While they help ensure a voice for small parties, they also create a strong incentive for big parties to splinter. Remember, if the DPP breaks into three parties called Chiang, Lin, and Chang, it can win three seats instead of two. The DPP is actually penalized for presenting a common name and a common platform. It should split up into lots of small parties. If you think this sounds far-fetched, it is actually an accurate description of what happened in Colombia. After several election cycles, the politicians figured out how to work the system and eventually every party list elected only one person. In other words, they turned a quota system into SNTV. This eventually led to electoral reform to a German-style mixed electoral system. These problems haven’t cropped up in Taiwan for two separate reasons. In seat apportionment, each district is guaranteed one seat regardless of size, so the various districts are only competing for full quotas. 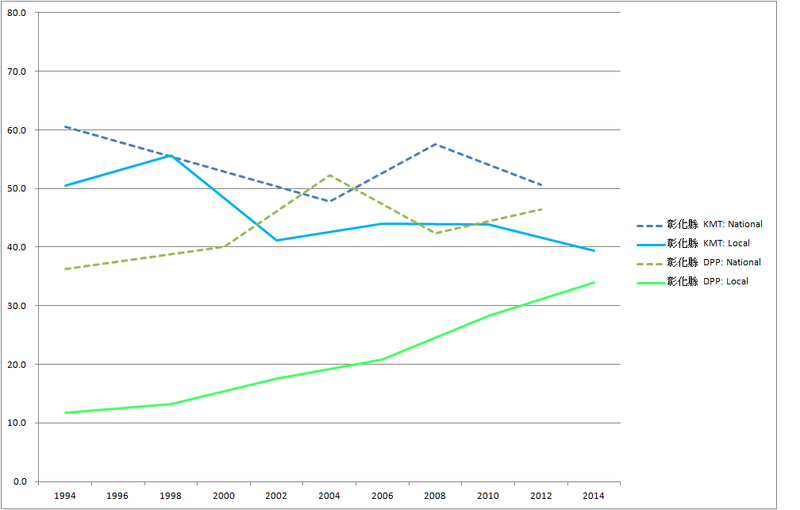 Anyway, cities and counties aren’t really strategic actors that can split up or merge for electoral gain. In the legislative elections, the 5% threshold ensures that parties cannot win one cheap seat. Any party that gets at least 5% will win at least two seats, so all additional seats require a full quota. What happens if we use the quota rule on the 375 municipal council seats? This is a much more proportional result. The two big parties get roughly the same seat share as their vote share. The four small parties also do much better, though they still don’t get quite as many seats as votes. Anyway, this little exercise was just for my fun. Some people like to think about how to get more votes. I like to think about how to turn the votes you already have into more seats. I’m just a nerd that way. I pay more attention to local assemblies than pretty much any other Taiwan scholar, with the exception of those who specialize in the politics of a specific area. I do this primarily because I’m interested in the SNTV electoral system, so I collect all the data that is available. By contrast, most people simply dismiss the city and county councils as not very important. Yet local councils have become more and more important over the past twenty years, almost without anyone paying attention. Three factors underlie this broad trend. First, the number of elected offices has plummeted. 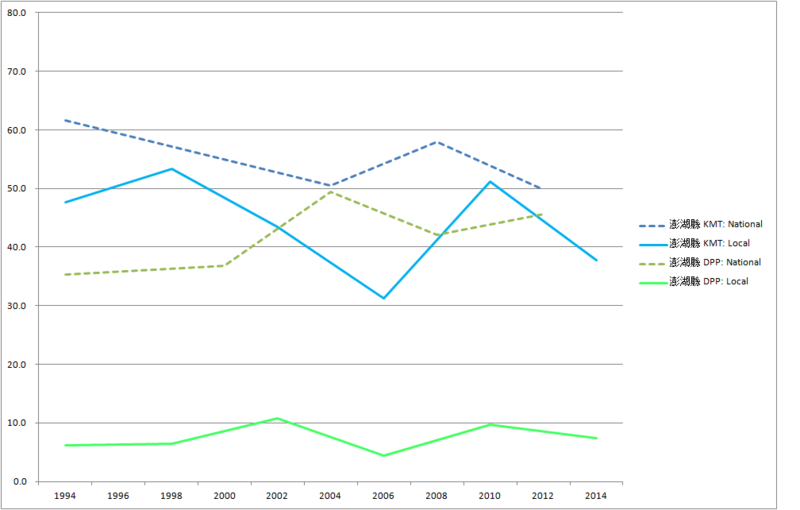 This means that city and county councilors are higher in the pecking order than ever before. A generation ago, it would have been very strange to see a former legislator running for a city council seat. Now it is fairly commonplace. Consider the old Taichung County, for example. In 1995, if you were one of the 57 members of the Taichung County Council, you were looking up at a lot of people. The most powerful/popular person was the county magistrate. Numbers 2-8 took the seven legislative seats. The next six spots (9-14) went to the members of the provincial assembly. Numbers 15-28 were occupied by the 14 National Assembly members. Then there were the 21 township mayors (and some of these spots may have been more desirable than a National Assembly seat). So the members of the county assembly only held the 50-106th most desirable positions in the county. That’s fairly small potatoes. In 1998, the six provincial assembly seats disappeared, though this was partly offset by an increase in legislative seats from seven to eleven. In 2000, the 14 National Assembly seats vanished. In 2008, the number of legislative seats was cut to only five. In 2010 Taichung County was merged into Taipei City. This eliminated the 21 township mayors, and it also cut the number of city council seats elected by the old Taichung County from 57 to 38. Suddenly, a member of the city council had moved up the pecking order from 50-106 all the way to 7-44th. In the past, if a county assembly member wanted to run for legislator, (s)he had to muscle past a lot of other office-holders. Now, city councilors are first in line for the legislature. Granted, this process has not been as dramatic in other parts of Taiwan. In the cities, there have never been elected township mayors. Most counties didn’t get upgraded to special municipality. However, every area has experienced at least part of this process, and the areas that experienced all of it (the old Taipei County, Taoyuan County, Taichung County, Tainan County, and Kaoshiung County) contain roughly 40% of Taiwan’s population. Second, the new municipal councils are much more powerful than the old city and county councils they replaced. The municipal governments have far more autonomy and financial clout, so a seat in the city council can influence a lot more money than before. This post is about that third point. 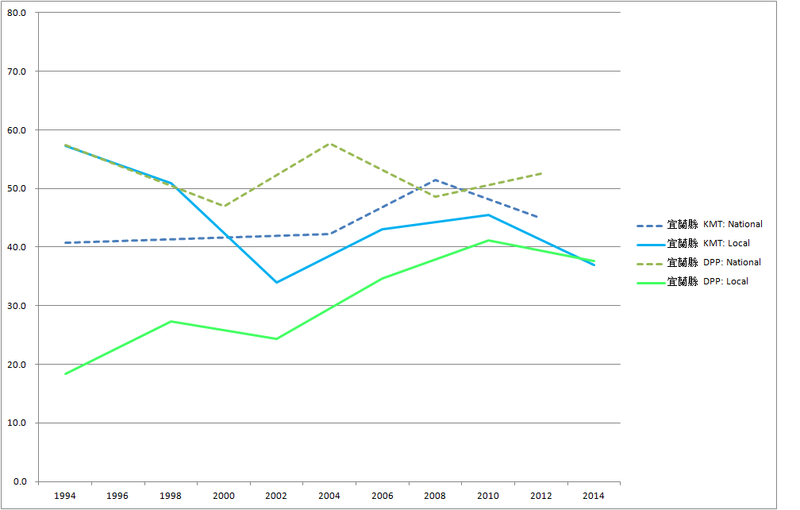 Let’s look at the growth in partisan politics during the democratic era. The broad outlines are as follows. Once upon a time, the KMT controlled everything and there were no opposition politicians. When the opposition started organizing, they concentrated on national politics, running for the highest offices available. Local politics were mostly about personal connections and moving local money around and were almost completely divorced from the big national questions of democratization and identity politics. 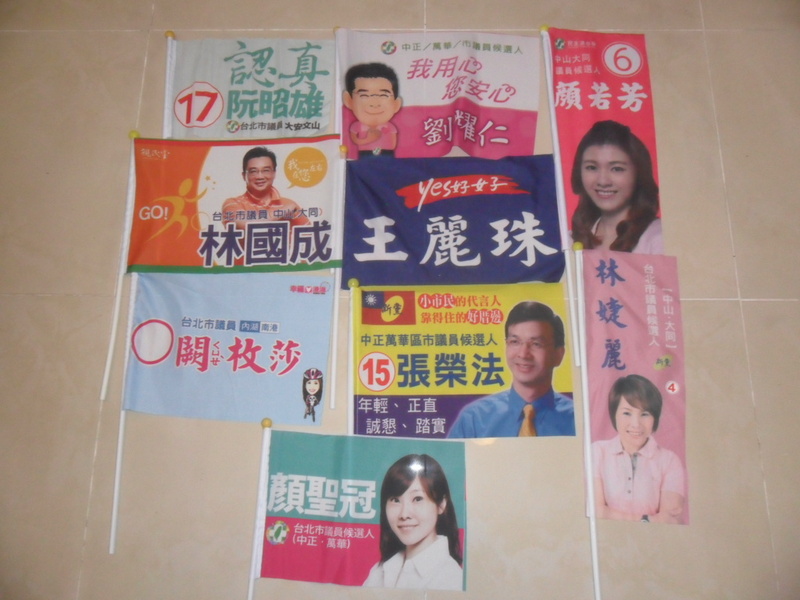 Since the local factions were almost all aligned with the KMT, grassroots elections were dominated by KMT candidates with only a smattering of DPP politicians. Over the past two decades, the DPP has slowly and steadily built up strength at the local levels, though it is still not as strong there as in national elections. 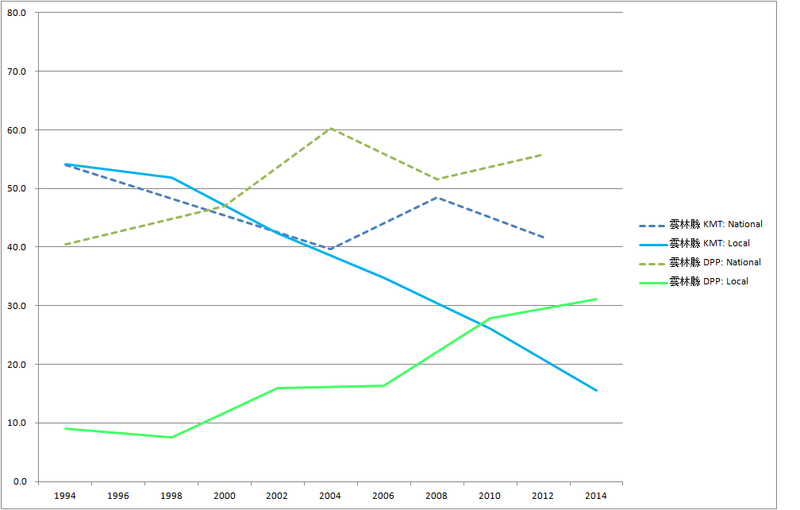 Similarly, the KMT dominance has faded. Until this election, the KMT was still the top party in local politics. I’m going to present this story in pictures. 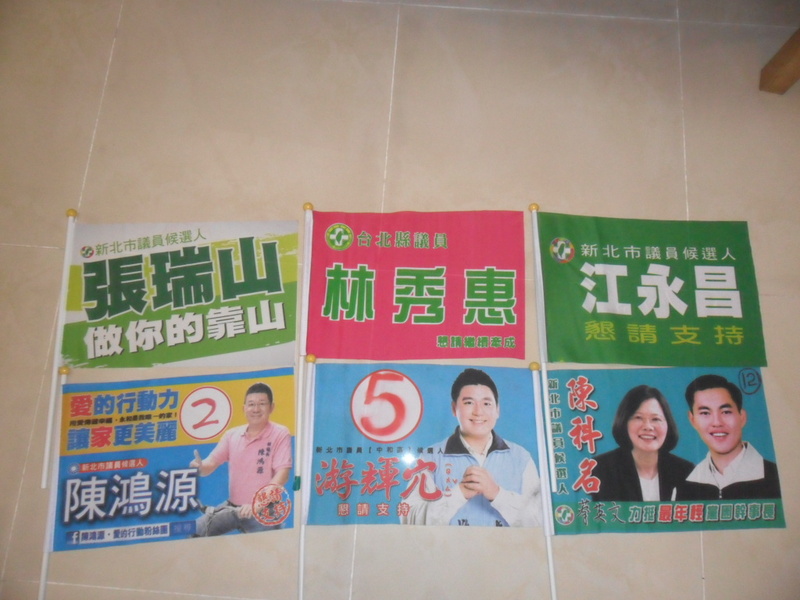 In each picture, I will show the percentage of votes won by the KMT and DPP in local council elections. 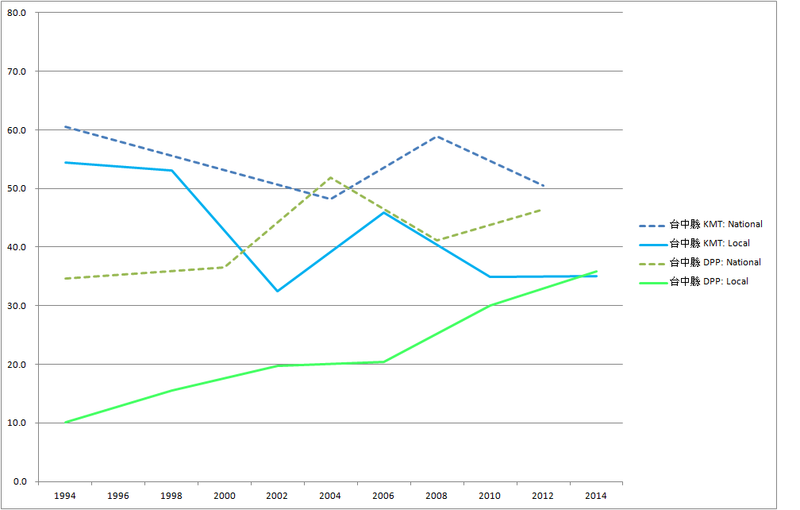 For reference, I also show two trend lines for the parties’ performance in national (governor and presidential) elections. I have omitted the KMT’s 2000 presidential election, since that distracts from the main point. The national lines are supposed to be crude indicators of how much a party could potentially expect to get in local elections, not any precise measurement. Something like the Lien-Soong split in 2000 didn’t really affect the vote pool for KMT county assembly candidates in 2002. First, here is the overall aggregated picture. 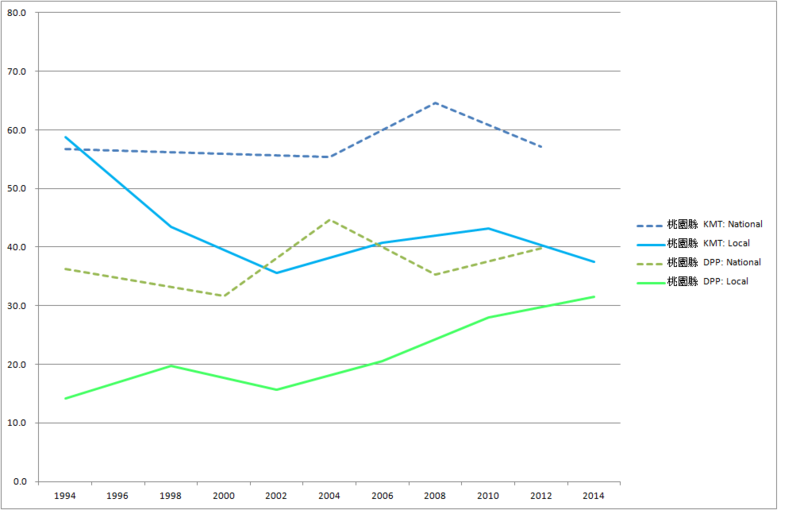 As you can see, the DPP had a miserably small presence in the early 1990s, far below its presence in national elections. By contrast, the KMT was very strong in local elections. Moreover, the non-KMT, non-DPP votes were mostly won by local faction candidates who were generally more friendly with the KMT than the DPP. 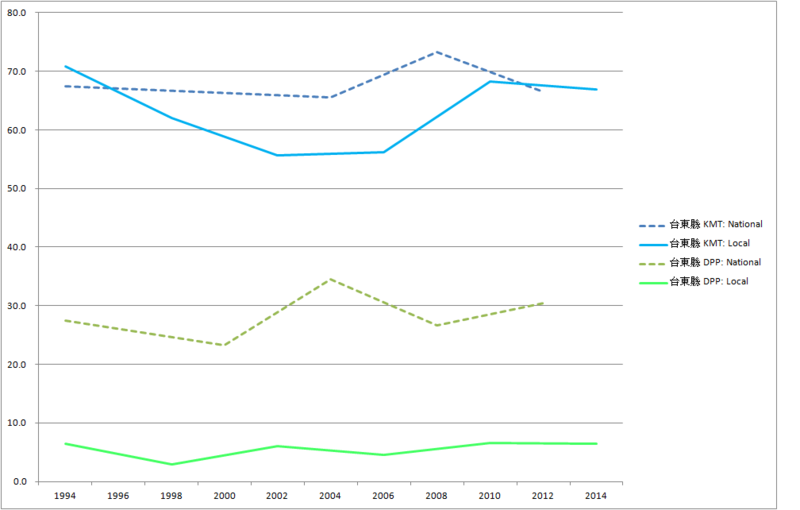 The DPP grew slowly through the first three elections (1998, 2002, 2006) and then much more quickly in the most recent two elections (2009/10, 2014). 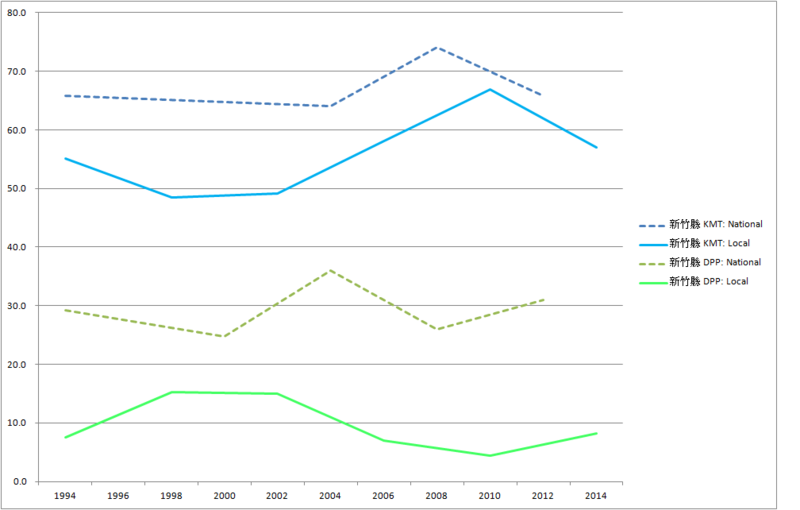 Stunningly, the DPP has now equaled the KMT in vote share in local elections. This is a major landmark that is going completely unnoticed. Looking at the individual cities and counties, it is possible to identify several different patterns. There are two big groups. In some, things have changed dramatically. In others, not so much. Let’s start in Taipei and Taoyuan Counties. The two big overflow suburbs and industrial centers have similar patterns, though the KMT is about 5% stronger and the DPP 5% weaker in Taoyuan than in Taipei County. 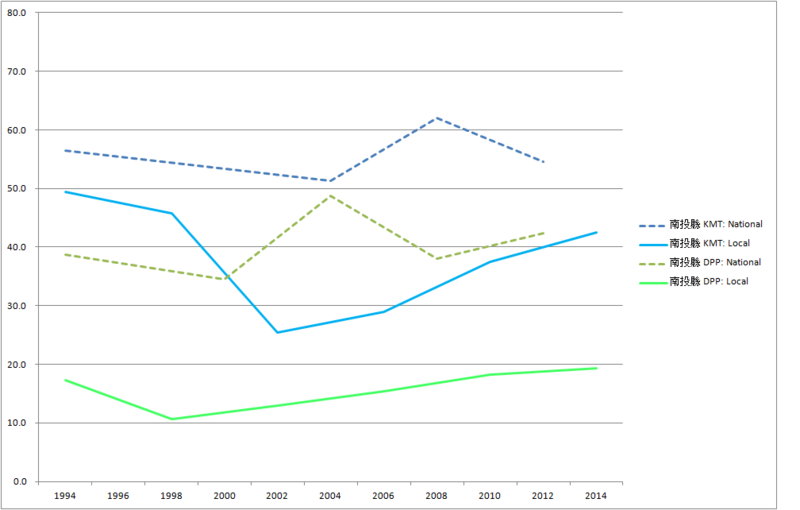 In both, the DPP made slow gains in the first three elections and much more dramatic gains in the two recent elections. Taichung County and Changhua look roughly similar. (Note1: In this post, I’m using the old city and county boundaries prior to administrative reform in 2010.) (Note2: Nantou looks entirely different from the rest of central Taiwan.) 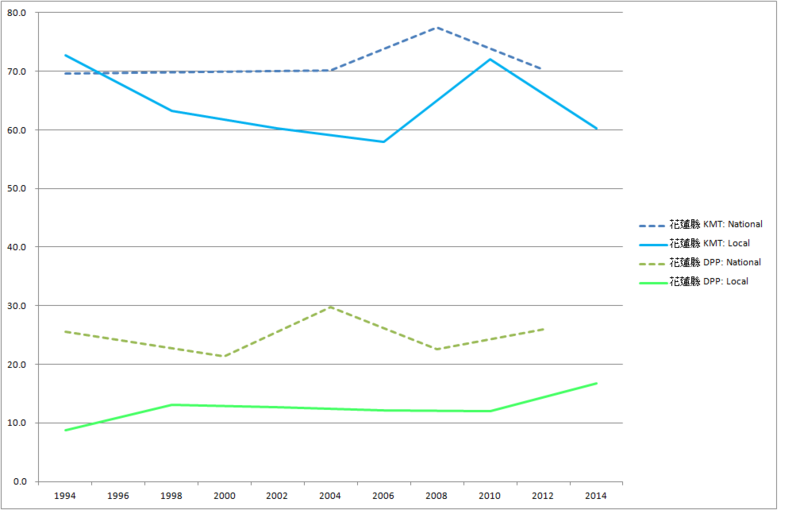 In these two, the DPP starts low but makes very steady gains in each election. Taiwan’s third and fourth cities, Taichung and Tainan also follow similar paths, though the DPP lines are higher in Tainan. The main difference between these and the previous two is that the DPP now does as well in local elections as in national elections, while there is still a gap between the two lines in the Taichung and Changhua Counties. As we move to the great agricultural heartland, the Yunchianan Plain, we see a new development. 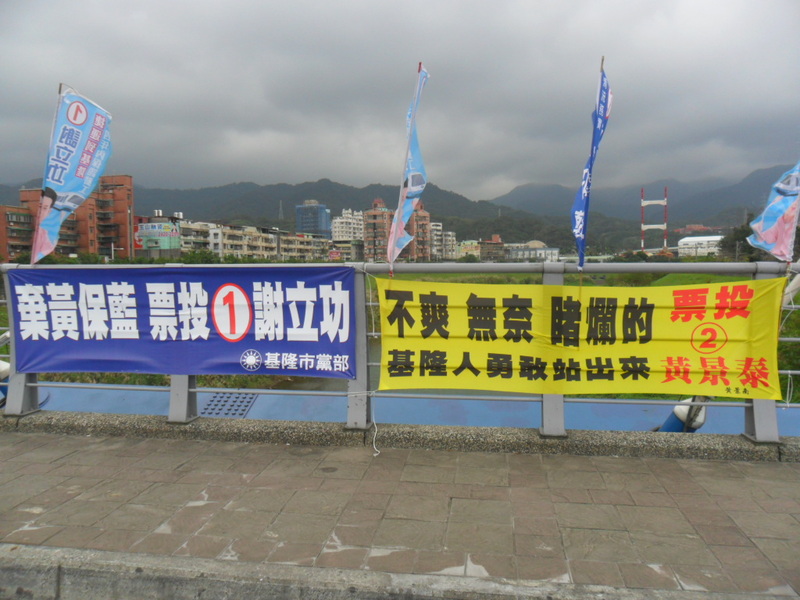 In these three counties, the KMT is collapsing in local elections. 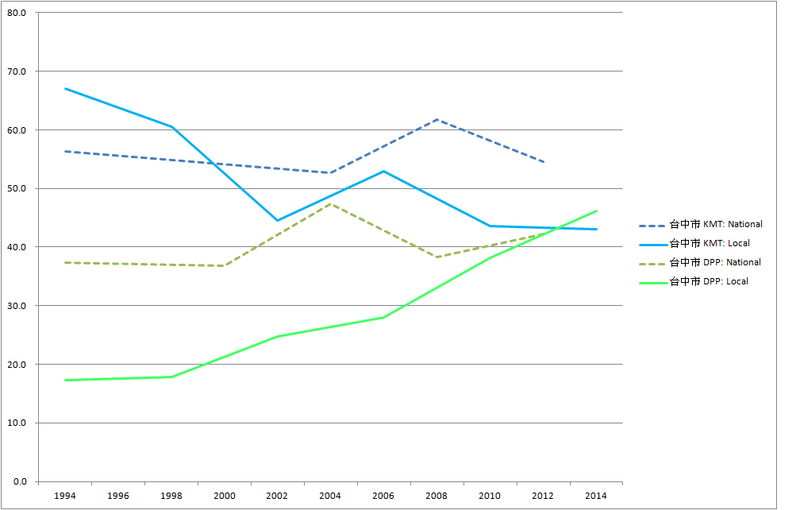 This is happening at different paces in all three, but the KMT has dropped to around a measly 20% in all of them. Local faction politicians who twenty years ago would have been card-carrying KMT members are now choosing to run as independents or even switch over to the other side. In Chiayi County, you can clearly see the impact of the entire Lin faction switching sides in 2001. In Pingtung and Chiayi City, the local KMT hasn’t collapsed to the same extent and the local DPP hasn’t grown to the same extent as in Yunlin, Chiayi, and Tainan Counties. Kaohsiung City and County look a bit different than the rest of the south in that the local party systems more closely mirror the national party systems. 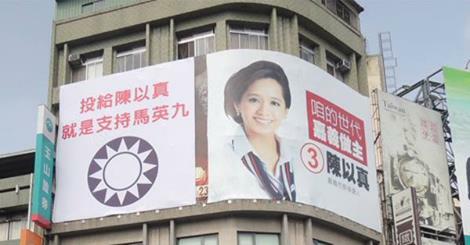 Like Taipei, the DPP started contesting local elections in Kaohsiung much earlier than in the rest of the country. 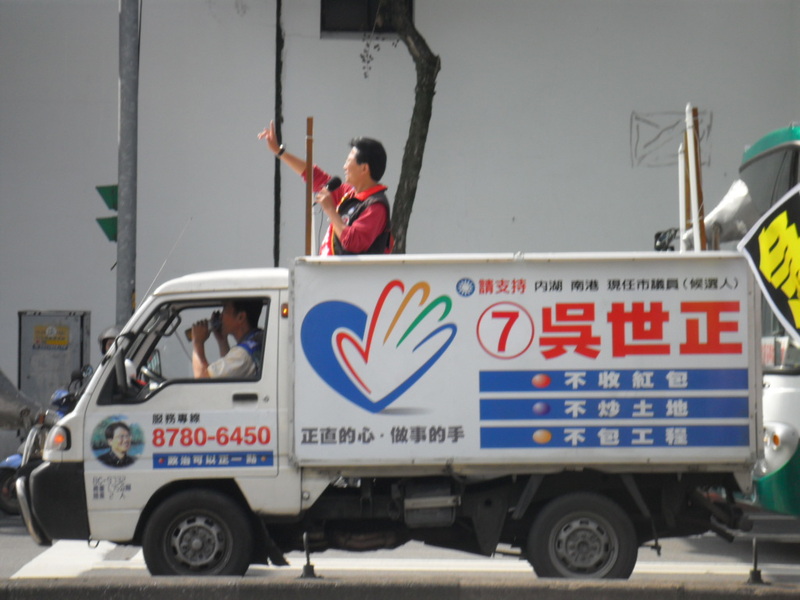 Moreover, in Kaohsiung County, many of the local faction politicians were affiliated with the DPP very early on. 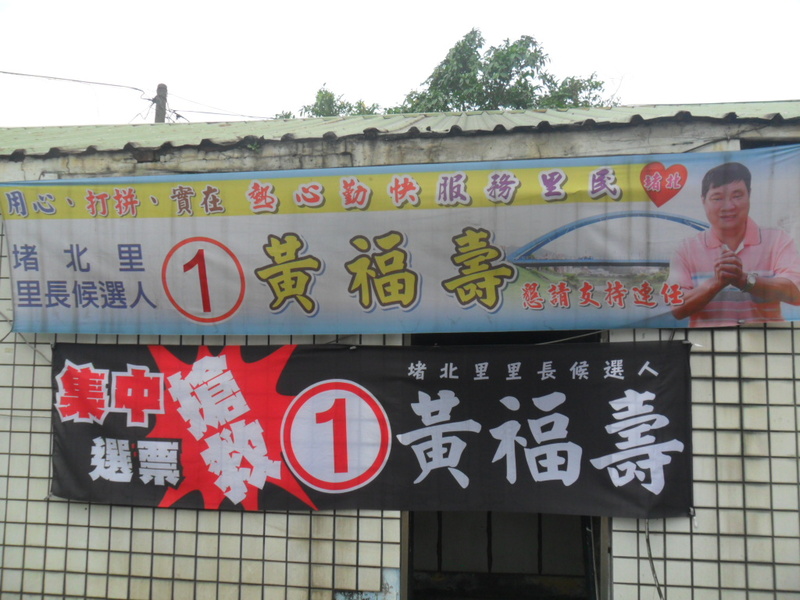 Yilan County, another of the opposition movement’s early strongholds, looks similar. Next, the two smaller northern cities of Keelung and Hsinchu look similar. 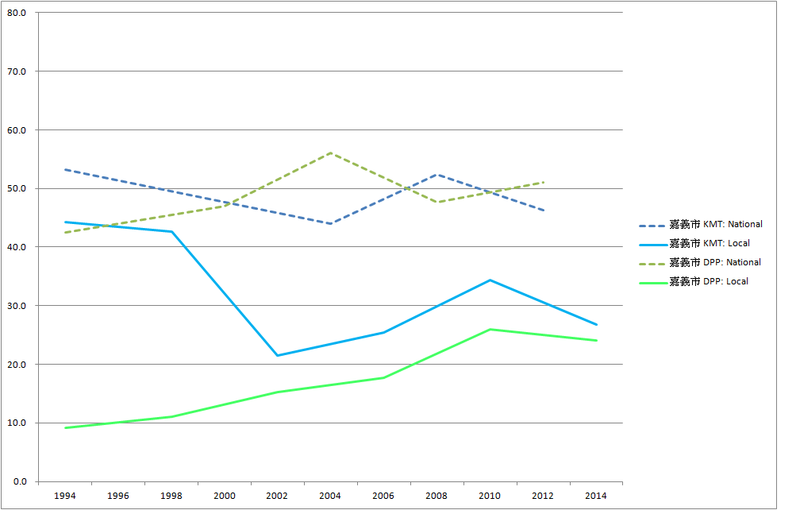 In both, the KMT has been consistently far stronger than the DPP at both the national and local levels. While the local KMT’s position has eroded a bit since the early 1990s, the DPP hasn’t grown that much and the KMT remains dominant. In Penghu and Nantou, the two big parties are closely matched at the national level, but the DPP is nearly absent at the local level. I’m not sure why the DPP hasn’t been able to translate its support in national levels to local politics here, the way it has done so in the rest of the center and south. Finally, there are four counties with thoroughly old-style politics. In the Hakka north and on the east coast, Hsinchu, Miaoli, Taitung, and Hualien Counties all feature dominant a KMT and a pathetic DPP. In these places, it’s still 1988! While we wait for the votes to be counted, here are some of the flags that I have collected this year. Handheld flags are a completely different animal than the big flags that hang outdoors. The latter are basically billboards. They make impersonal statements to large numbers of people. Handheld flags are much more personal. They have two main purposes. First, most are handed out at rallies, and they help people to participate. It is much easier to wave a flag than to wave an empty hand. When someone makes a good point or yells “frozen garlic,” you can shake your flag wildly back at them. And once you are physically engaged, you listen more carefully and are more likely to do something even more participatory, such as yell your approval. In short, a rally of 5000 people with flags in their hands is going to be much more passionate than the same exact rally of 5000 people without flags. Second, you can take the flag home with you, where it serves as a reminder and a connection to the candidate. If you want to tell guests who you support, you can put it out in the open and nothing confrontational needs to be said. You can let children play with it so that they think your favorite party is fun and awesome. Handheld flags are a great value for a very limited expenditure. 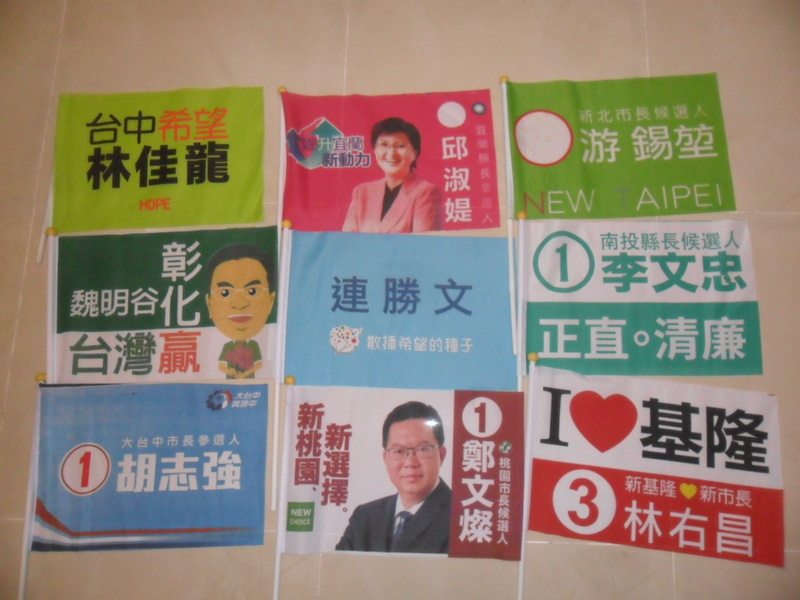 You will note that there are more DPP flags than KMT flags in my collection this year. 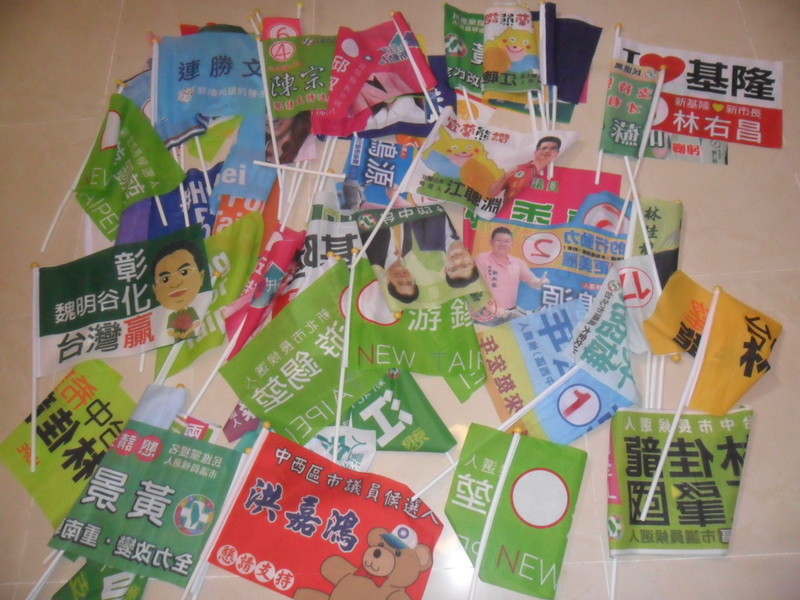 Lots of KMT candidates who I asked for flags told me they didn’t print any this year. I can only shake my head at this decision. Here are the seven rainbow flags from Ko Wen-je’s march last weekend. I’m not sure if this is all of them or if there was an eighth color that I am missing. Personally, I prefer flags with the candidate’s name proudly emblazoned on them. Here are the mayors and magistrates. Note the absence of any Ko Wen-je or Eric Chu flag. Ko proudly announced he was running a “different” campaign and wouldn’t print flags. (Pay no attention to the previous picture.) Chu apparently didn’t have to bother with campaigning, since his office didn’t have any flags when I dropped by. I suspect he eventually got around to printing some, though. 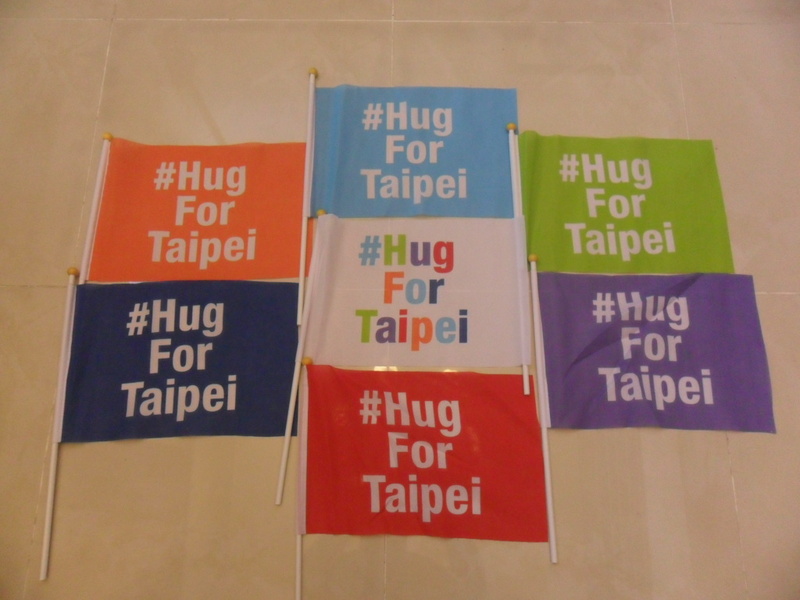 Here are my flags from New Taipei City. The top row is the three DPP candidates from Zhonghe District. These are the four city council main candidates from Taichung 10. Only three can win. The teddy bear may be in danger. Taipei City city council candidates. I really dislike the tall, narrow flags on the right. They are a terrible shape for waving at rallies. This is the everything else category. I found a couple others in my car later on. Sorry Chung Hsiao-ping 鍾小平 and Chen Yi-chou 陳義洲. Maybe this is the most appropriate way to show them. Elections are supposed to be a little chaotic. And now I will put them away, with only a few going out on display in my private museum. I have a few photos that I’d like to chat about. There really isn’t a common theme other than that these are all part of the visual campaign. I love seeing these ads. I believe strongly in representative democracy, but representative democracy only works with healthy party politics. Collective responsibility is at the heart of the system. If the whole party is punished whenever one member does something terrible, then the whole party has a strong incentive to constrain the individual members. It is nearly impossible to fight corruption one person at a time, but it is possible to vote out a party riddled by corruption. If a party leader tries some policy that is widely unpopular, the whole party should suffer the consequences. Again, this provides a strong incentive for party members to dissuade a leader from going in a strange and unpopular direction. If this collective constraining keeps party members advocating the same platform, it becomes much easier for voters to understand what a party stands for. That, in turn, allows them to make choices consistent with their own values. In a sense, constraining members is the single most important thing that political parties do. I came across this ad while researching the post on independence alliances. 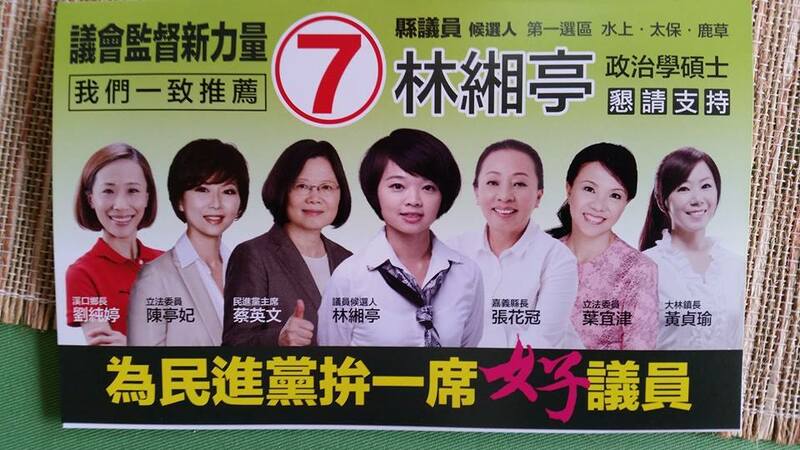 I have never seen such a phalanx of female political power in a campaign ad. It’s not just that there are lots of women in the picture; it’s also that they are both powerful and mostly local. Lin Hsiang-ting is running in Chiayi County, and she is supported by the party chair (and presidential contender), the incumbent county magistrate, two Chiayi township mayors, as well as two prominent legislators from Tainan, just over the county line. This ad would have been unthinkable when I arrived in Taiwan. For one thing, the DPP barely had any local officeholders a generation ago, much less an army of prominent female politicians. For another, I’m not sure a candidate would have wanted to produce this ad for fear of widespread male chauvinism among rural voters. Taiwan has seen an upsurge in female officeholders since democratization. The percentage of women in elected offices has risen globally over the past few decades, but it has gone up faster in Taiwan than elsewhere. I have written a few papers arguing that one of the drivers of this trend is the reserved female seat system in the SNTV (multi-member seat districts) electoral system. This is the rule that for every four seats a district elects, at least one must be won by a woman. Most people think of it as a largely useless and even anachronistic or embarrassing rule. It is almost never invoked, so most people think it has no effect. This couldn’t be more wrong. The rule drives parties to identify and cultivate female candidates so that those seats won’t go to their opponents. In districts without reserved seats, parties don’t have the same strong imperative and nominate (and elect) far fewer women. Since the system is most effective with competitive party politics and multi-member districts, the direct municipalities should be the sweet spot. In fact, they are. In the six municipalities, over 35% of seats are currently held by women. If these six municipalities were a national legislature, they would rank #24 in the world. I’m going to be watching closely to see if that number goes up significantly in this election. In the last few days, everyone screams danger! In this photo, five different candidates are begging voters to save them. In a multi-member district, the worst thing that can happen to a candidate is for voters to think they are safe. If a candidate is safe, (s)he doesn’t need your vote. Lots of candidates have suffered shocking losses due to overconfidence. This candidate is not quite so bright. Many city council candidates will plead with their supporters to concentrate all their family’s votes and not to ration them out to several candidates. This particular candidate is running for neighborhood head, which is a single-seat election, but he is still pleading with supporters to concentrate their votes on him. Voters don’t need to ration out votes to try to elect three or four people in this kind of election. There isn’t even a possibility of strategic voting in this race since there are only two candidates. The only explanation for this appeal that I can think of is that everyone else is doing it, so he thinks he should say the magic phrase too. Quick, which party is this candidate from? You’d never know from the color scheme that he is a DPP nominee. In fact, Lin You-chang has served as party spokesperson under Tsai Ing-wen, so it’s not like he is a fringe party member. Lin’s two main foes in the Keelung City mayoral race are trying like hell to be his primary opponent. Unfortunately, they seem to be roughly tied, which is the worst possible position. They both want to convince blue camp supporters that the other one is hopeless. I like Hsieh’s slogan, “Dump Huang (yellow), save blue.” It not only invokes the dump-save formula, it also intimates that Hsieh is the real representative of the blue camp. Huang’s banner is more direct. This is a contest between Huang and Lin, and a vote for Hsieh is a vote for Lin. Right across the bridge from those two banners, there is another pair of banners. Hsieh’s is the same, but Huang’s is somewhat earthier. Angry, fed up, and &@!#* voters should vote for Huang. Huang’s main appeal has been that the KMT is oppressing him. He has been treated unfairly, and he is pissed off. 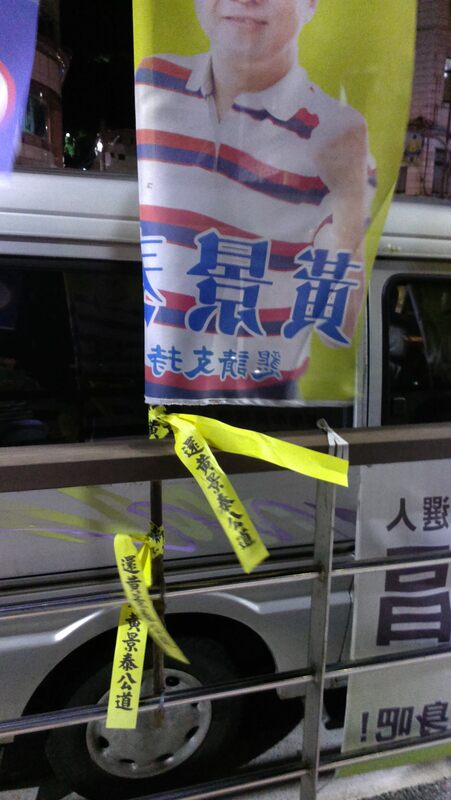 The little yellow ribbon under the sign says, “Give Huang Ching-tai justice.” This is reminiscent of the authoritarian era, when Tangwai candidates threatened with prison sentences would tell voters that they expected no justice from the judicial system and their only hope was for the voters to give them justice. We’ve gotten several fliers about how oppressive the system is and reminding us about the injustices of the KMT going back to 228. Huang has been in prison without bail for a couple of months, and he thinks he is being politically persecuted. Both he and his brother, who is running the campaign in Huang’s absence, are on hunger strikes right now. The only minor thing is, we are supposed to have forgotten why Huang is in prison. He wasn’t arrested for throwing a shoe at President Ma or anything like that. He’s corrupt, and he got caught. Now he’s angry at the KMT for treating him unfairly, but we aren’t supposed to remember that he was a loyal KMT member who never talked about things like 228 until just a few months ago. Finally, here is a picture of lots of flags. I love seeing a lot of flags everywhere. It gives the atmosphere of election season and makes me think happy thoughts about democracy in action. Some people love seeing Christmas decorations everywhere; I love election decorations. Unfortunately, this may be the last time we see such a scene. It seems the powers that be have come to a conclusion that this is visual pollution and have agreed to ban as much as possible. You will still be free to put up all the billboards you can afford, but unpaid banners and flags covering public spaces may be a thing of the past. Taichung is particularly sterile this year, and I mourn this development. There are three big political forces representing the independence wing of the political spectrum that have nominated candidates for city and county councilors this year. They are the TSU, Chen Shui-bian’s One Country, One Side Alliance (OSOCA), and the Taiwan Independence Alliance (TIA). If I understand correctly the TIA was formed earlier this year by a number of groups that supported independence as well as some of the Sunflower student groups. The OSOCA published a roster of candidates it has endorsed in an ad in today’s Liberty Times. I obtained the roster of candidates endorsed by TIA from their Facebook page. (The TSU’s candidates are easily found in all the official government sources.) I’m reproducing them here so I’ll be able to find them in five or ten years. In the meantime, let’s look at the nominations of the three forces competing to be the preeminent force for independence. From the rosters, it is clear that they have focused much more on the six direct municipalities than on the other sixteen cities and counties. This makes sense. 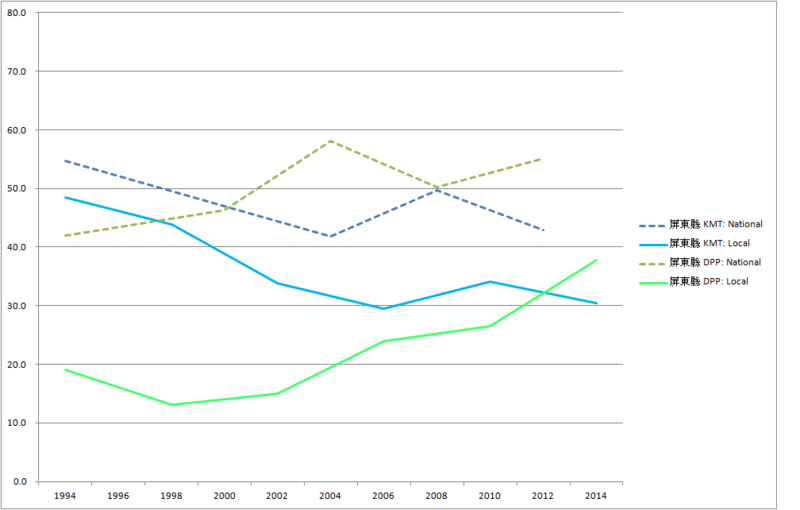 City council elections in the six direct municipalities run much more on national issues. Local issues still matter, but not nearly as much as in the smaller cities and counties. As such, it is probably easier to convince a voter in Taipei or Taichung to cast a city council vote for independence than it is to convince a similar voter in Penghu or Yunlin to do the same. When was the last time you heard a Yunlin county councilor say anything important about independence (or anything relating to national politics, for that matter)? There are a few weird patterns in the city and county councilor endorsements. Am I the only one shocked that every DPP candidate in Keelung City is on the TIA roster, but neither of the alliances was able to field many candidates in Yunlin? I suspect there are interesting stories, but you probably have to know all the little details of each local soap opera to really understand what is going on. The normal way to judge an alliance like this is to ask how many of their candidates were elected. I don’t think that is the best way to think about things. These are, after all, local elections, and the vast majority of voters will be voting for other considerations. If, for example, Wang Shih-chien wins in Taipei 4, should we interpret it as a victory for OSOCA? There are a number of compelling alternative reasons that Wang might win, including his years of constituency service, his personal charisma, the DPP’s popularity and conservative nomination strategy in his district, and his statement earlier this year that Sean Lien could win the mayoral race “over my dead body.” Wang’s membership in OSOCA is probably only a minor part of his political strength. Rather than thinking about things from a voter’s point of view, it is more enlightening to think about things from the candidate’s and the alliance organizers’ points of view. The alliance organizers are not like political parties in that they do not nominate candidates. Rather, they look at the field of candidates already running and offer to endorse some of them. For each candidate, the organizer has to make a decision on whether to endorse them. The organizer has to balance two goals. On the one hand, the organizer wants candidates who share the alliance’s values. On the other hand, the organizer wants candidates who will win. If you have to choose between a candidate who shares your values 100% but only has a 1% chance of winning and another candidate who only agrees 80% with your values but has an 80% chance of winning, you’ll probably advance your organization’s goals more effectively with the latter candidate. The candidate makes a similar calculation. Endorsement by an alliance may not, by itself, secure victory. However, if the candidate judges that association with the alliance will attract more votes than it will scare off, then he or she should welcome the endorsement. If the endorsement brings 500 extra votes, great! 500 votes could be the difference between victory and defeat. Each candidate will make a different judgment of the value of an endorsement based on all kinds of factors. In SNTV elections with multi-member districts, factions, small parties, and electoral alliances prefer to only nominate one candidate per district. This allows them to concentrate their support on that candidate instead of worrying how to ration votes among multiple candidates. For an election alliance, this also allows them to maximize their value to each potential endorsee. A candidate might also want to be the sole endorsee in the district. Association with an extreme position could scare away the same number of moderate voters regardless of how many people are endorse, so you don’t want the share the benefit with anyone else. The alliance organizer wants to put together the strongest possible roster of candidates, while the strongest candidates will only want to be affiliated with the alliance if they can monopolize its endorsement and they judge that endorsement to be a net vote winner. Thus, by looking at what kinds of candidates are on the rosters of each alliance, we can make judgments about the political strength of each of the groups vying to lead the Taiwan Independence movement. Looking at the summary table above, it is evident that the OSOCA has put together a very strong roster. They have endorsed a candidate in 51 of the 69 districts (not counting Aboriginal districts) in the six direct municipalities. The TIA could only find candidates for 36 districts, and the TSU only nominated in 28 districts. (18 candidates were endorsed by both OSOCA and TIA.) The best indicator of candidate quality is whether the candidate is an incumbent or not. Again, OSOCA has by far the best roster. 79% of OSOCA candidates are incumbents, while only 55% of TIA and a mere 17% of TSU candidates won four years ago. The two alliances have somewhat different partisan strategies. 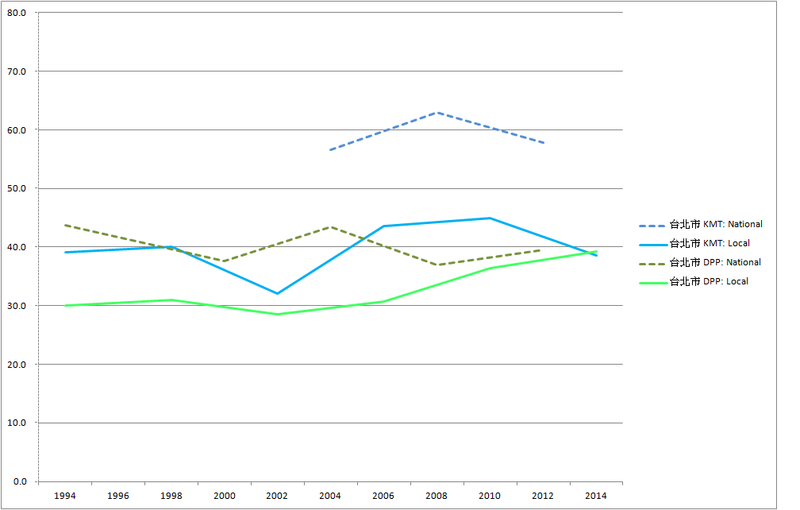 Both alliances are dominated by DPP candidates. 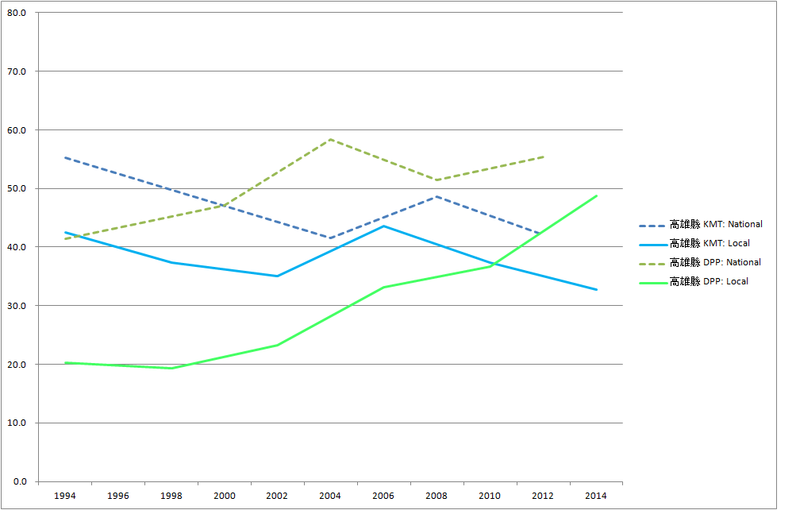 This is perhaps natural, since most of the candidates on the green side of the political divide are DPP members. As a general rule, the strongest politicians tend to affiliate with one of the two big parties, so finding DPP politicians who are willing to accept an endorsement is a mark of credibility for OSOCA and TIA. (Interestingly, neither alliance seems to have endorsed any New Tide members, though I could be wrong about that.) The main difference is in the non-DPP candidates. TIA has endorsed several TSU nominees, while OSOCA has entirely separated itself from the TSU. When OSOCA endorses non-DPP candidates, they are independents with proven electoral track records. The main lesson of this exercise is that Chen Shui-bian evidently still appeals to a large enough segment of the electorate that many established politicians are willing to associate themselves with him, at least in elections with multi-member districts. In contrast, the TSU appears to continue to lag far behind at the grassroots level. Of course, it is possible that a particularly large proportion of one of these rosters will unexpectedly win or lose. The politicians set up the question as they like, but the voters always have the final move. Here are the rosters for the two alliances. OSOCA Party Inc? TIA Party Inc? Of course, the answer is that they are all from the blue side of the political divide. However, the KMT does not have a monopoly on political families. The DPP has plenty of political families as well. If this group were really worried about political families and not simply trying to convince voters to vote against the KMT, you might have seen a few green families on this list. This year most of the high profile family candidates are in fact from the KMT side of the divide, but a little balance would have helped. Could I do better? Of course I could! The first thing is to take the undeserving people off the list. The two Hualien families clearly are out of place on this list. Fu Kun-chi’s wife is not actually running. He and his wife both registered for the mayoral race as a way to look oppressed: if the KMT trumped up some charges against him and disqualified him, voters could still vote for his wife. However, this is really a one-person political “family.” The Wei family is simply not important enough to be on this list. The family has never won a legislative seat, though they came close 22 years ago. (I wonder if the Movement knows about that history.) Lots of families throughout Taiwan have members on county councils and town councils. Why is the Wei family singled out? Heck, a better choice from Hualien would have been the Wu family, where former magistrate Wu Kuo-tong 吳國棟 is running family member Wu Chien-chi 吳建志 for the county council. I’m a bit surprised that the Movement didn’t try to squeeze Chiayi City mayor candidate Chen Yi-chen 陳以真 on this list. She comes from a rich family that has a marginal history in Chiayi electoral politics, and her husband was briefly a KMT spokesman. Which green figures should go on the list? The DPP has fewer mayoral family candidates this year than in past years (think about the Kaohsiung Yu family, the Yunlin Su family, the Changhua Yao family, and so on). The obvious exception is in Chiayi County, where magistrate Chang Hua-kuan 張花冠 is the wife of former legislator Tseng Chen-nong 曾振農. Her son Tseng Liang-che 曾亮哲 is also a county council candidate. In the city council races, there are several high-profile choices. Former Premier Frank Hsieh 謝長廷 is running his son in Taipei. 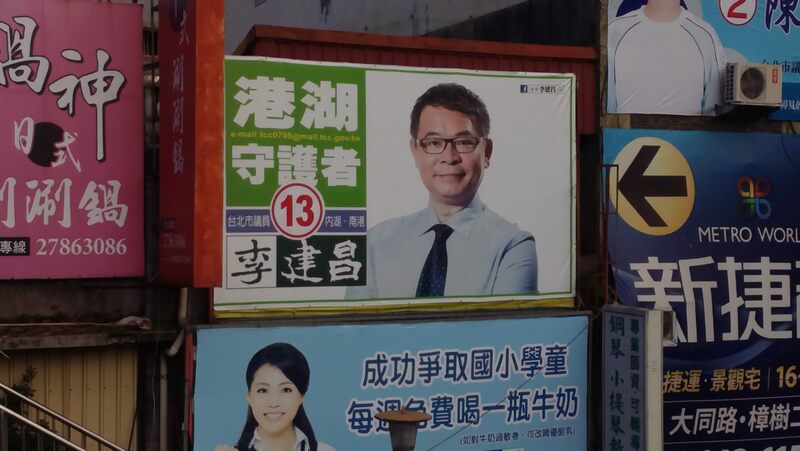 In the same district, legislator Hsueh Ling’s 薛凌 (who is married to former legislator Chen Sheng-hung 陳勝宏, both are wired into the banking sector) son is running for re-election. If you want a more southern flavor, former Chiayi County magistrate (and local faction heavyweight) Chen Ming-wen 陳明文 is trying to put his nephew Chen Yi-yueh 陳怡岳 into the county council. There are plenty of other choices, but I’d probably put two or three of those on my list to make it more balanced. Also, the Zhonghe Chang family is a fine case, but you might want to mention that it also includes some DPP politicians such as CC candidate Chiang Yung-chang 江永昌. I am actually starting to study political families in a more systematic way. I’ve just started collecting data, so I am nowhere near ready to present findings in formal research. However, this is a blog, so sloppy and incomplete conclusions are completely acceptable! My data are mostly based on newspaper reports. Generally there is a story in the local sections within a week or two of candidate registration that introduces the candidates to the readers. Reporters often don’t say anything about incumbents except that they are almost universally expected to win re-election. For new candidates, reporters will usually give one or two details. I pay particular attention to family ties and previous offices. While local reporters give a surprising amount of information, it is not always systematic. Some local reporters know all the details, and some have no idea about family ties. Because of that, my data should be considered a lower bound. Just because I haven’t seen any reports of family ties does not mean that there are none. Moreover, we often don’t hear about family ties for incumbents. In a previous post, I discussed the Chen, Chueh, and Lee families in Taipei D2. I haven’t seen any references to these families this year. To find them, you might have to go back to 1998 and 2002 when the current incumbents ran for the first time. I am slowly filling in the history, but I am a long way from finished. To keep things simple, let’s only look at the 688 candidates for the six municipal councils this year. 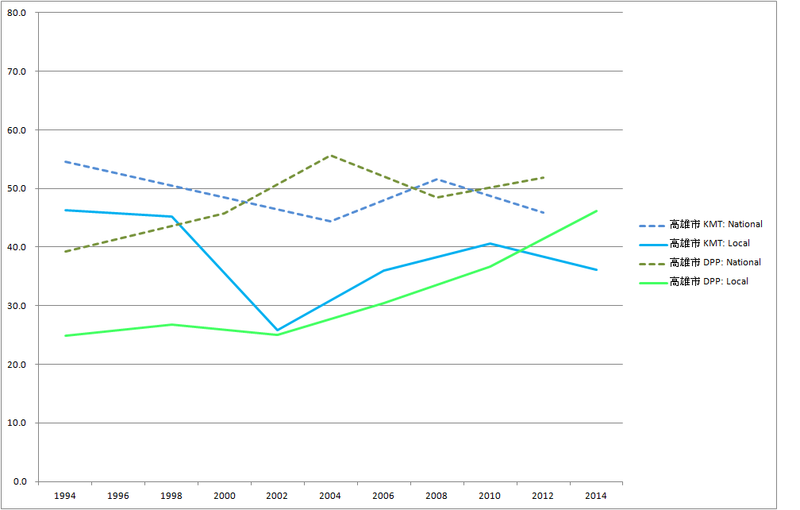 (I am working on the county councils as well, but those data are spottier.) I am looking at legacy politicians, those who follow from a previous family member. For example, Yen Ching-piao’s children are legacy candidates, while Yen Ching-piao himself is not. Overall, 12.2% of the candidates this year are legacy candidates. I was surprised that it was that low. When I was collecting data, it seemed like every other candidate had a family member holding some other office. Remember, all of these numbers will go up as my data becomes more complete. My guess is that the final number will be somewhere around 15-20%. Overall, the KMT has a slightly higher percentage of legacy candidates, though the difference is not all that great. The KMT does not have a monopoly on family politics, no matter what the Transforming Elections Movement wants to tell you. There is a difference in the nature of KMT and DPP family politicians. 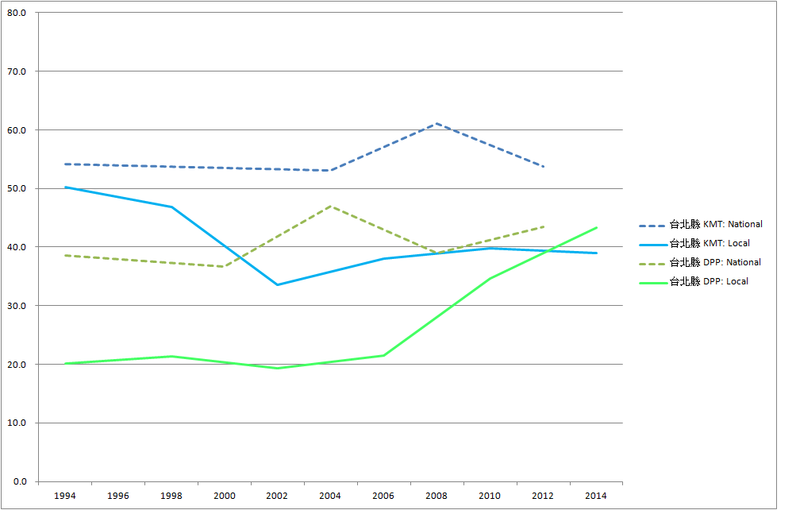 The percentage of incumbent KMT candidates with family ties is roughly twice as high as for incumbent DPP candidates. 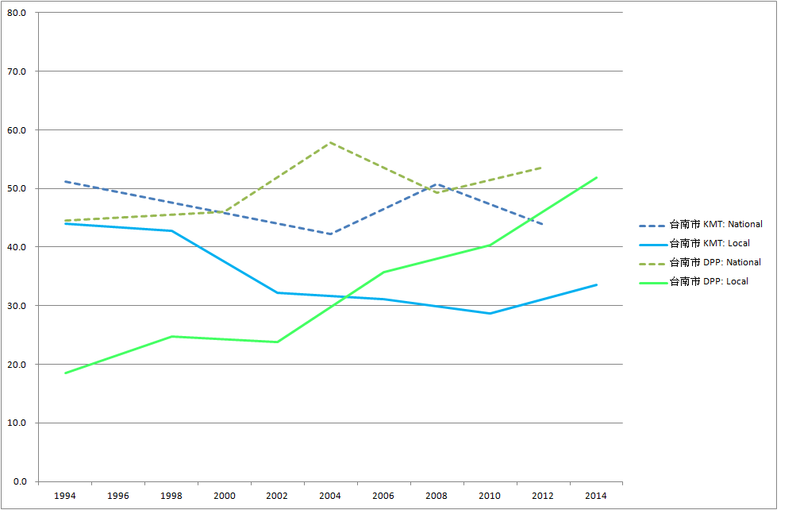 However, the DPP has a much higher percentage of legacy candidates among newcomers. Over a quarter of DPP newcomers have family ties. For some reason, the DPP has embraced family politics in this election cycle. I expect KMT and DPP newcomers with party ties to do better in these elections than those without family ties. This is the normal pattern in other countries. 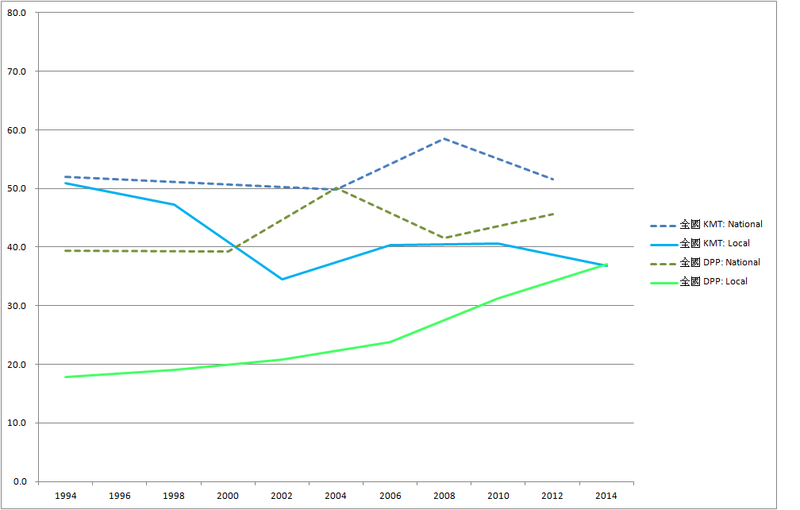 If that happens, the current gap among incumbents between the KMT and DPP will shrink significantly. Again, neither major party seems interested in preventing family politicians from winning influence. Political families seem to be on the rise in both parties. I always seem to write about Taipei 2nd district, and here I go again. I suppose I’ll feature it again four years from now, since I work in this district and go there every day. Anyway, while the race this year isn’t the craziest, there are a few interesting elements. The district has nine seats, of which at least two must be won by women. All nine incumbents are running for re-election. Currently, the partisan breakdown is KMT 4, DPP 4, and PFP 1. This was a fantastic result for the DPP since the KMT easily had enough votes to take a fifth seat. The KMT got 96391 votes (47%), meaning that they had 19278 votes for each of their five candidates. The DPP only won 70155 votes (34%), or 17539 for each of their four candidates. However, the KMT’s fifth candidate was a disaster. Hou Yan-tai 侯衍泰 only won 4296 votes and lost by a wide margin. This allowed the DPP to win the last three seats, the last one with only 13863 votes. It wasn’t a good job of vote division by the DPP, but it was a meltdown on the KMT’s part. The KMT will try to avoid that outcome this year. This year we have the nine incumbents plus a much stronger fifth KMT nominee. There is also an energetic New Party candidate, a much less energetic TSU candidate, and a couple others, but they don’t look like they will be able to hang with the big dogs. I think this is probably ten serious candidates fighting over nine seats. First the KMT, starting with the only non-incumbent. 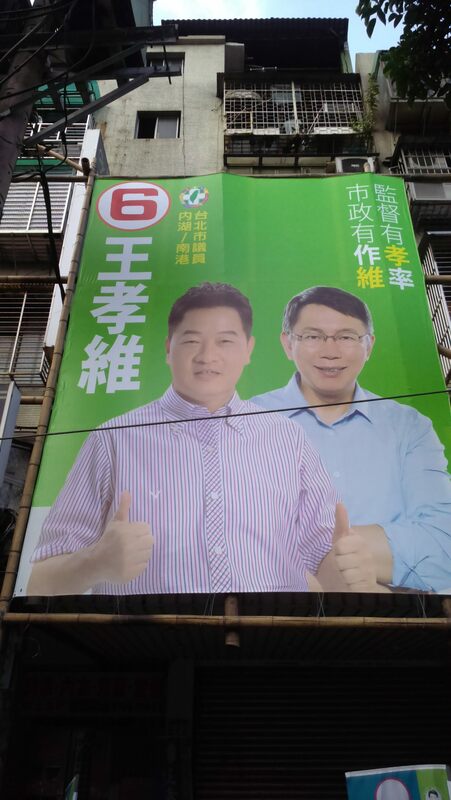 Huang Tsu-che 黃子哲 is one of the two personal soldiers Sean Lien is sponsoring in the city council races. Huang has two themes. On the one hand, he is educated and has amassed a significant amount of policy expertise. On the other hand, he is Sean Lien’s man. If you like Lien, vote for Huang. While Lien doesn’t exactly enjoy universal admiration, to put it mildly, Huang only needs about 8% of the vote to win a seat. He is a serious challenger. Wu Shih-cheng 吳世正 is one of four incumbents in this district who was first elected in 1998 and will be seeking his fifth term. Wu is a mainlander who made his reputation working in TV news. That is not unusual; the media used to be dominated by mainlanders and they still comprise a disproportionate share of TV personalities. Wu stresses his honesty, promising he will not take kickbacks or bribes. Here’s a picture of him campaigning from the top of his sound truck the day before the election four years ago. Now that those two are out of the way, we can talk about the three KMT nominees that I really want to discuss. I’ve been thinking about political families a lot over the past few months, and these three are classic cases. First, Lee Yan-hsiu 李彥秀 was first elected in 1998. She inherited her seat from her father, Lee Chin-chang 李金章, who served two terms. One of my other interests is the prevalence and success of female candidates, and Lee Yan-hsiu neatly intersects family and gender politics. This is not unusual. A much higher percentage of women than men enter politics by inheriting their seats. Many observers use this to denigrate women’s electoral achievements by arguing that the women are merely proxies for the powerful man who is really running things. That is probably true for many women (and men) who inherit their seats. The real test is whether the younger politician grows into her power and eventually takes over the family business. For example, Yu Chen Yueh-ying 余陳月瑛 was merely a daughter-in-law when she started in politics. However, she eventually developed her power and took over the Kaohsiung Black faction, the Kaohsiung County government, became a major power in the DPP, and she sponsored her own children to positions in the provincial assembly, legislature, and her successor as Kaohsiung County magistrate. When Lee Yan-hsiu started out, she was not a mature politician. I remember attending one of her campaign events in 1998 and coming away with the impression that she was peppy, naïve, cutesy, and, at 27 years old, nowhere near ready for an important public office. She was entirely dependent on her father’s network to win that race, and her father probably ran her city council office as well. However, over the past 16 years, I have the impression that she has gradually become the real boss. The two Lee’s have built a nice political empire in Nangang over the past 25 years. Lee Yan-hsiu doesn’t seem to be in any danger of losing this time, but I think this might be her last term in the city council. She seems to have eyes on a seat in the legislature, and she is getting powerful enough to be able to push Alex Tsai 蔡正元 aside. In 2012, she challenged Tsai and lost by a razor-thin margin in the polling primary for the KMT’s nomination. This is probably one of the main reasons that Tsai is trying so desperately to move into the city government. We are also probably counting the Lee’s short if we only credit them with six terms. Lee Yan-hsiu expanded the family business in the traditional way, through a marriage alliance. 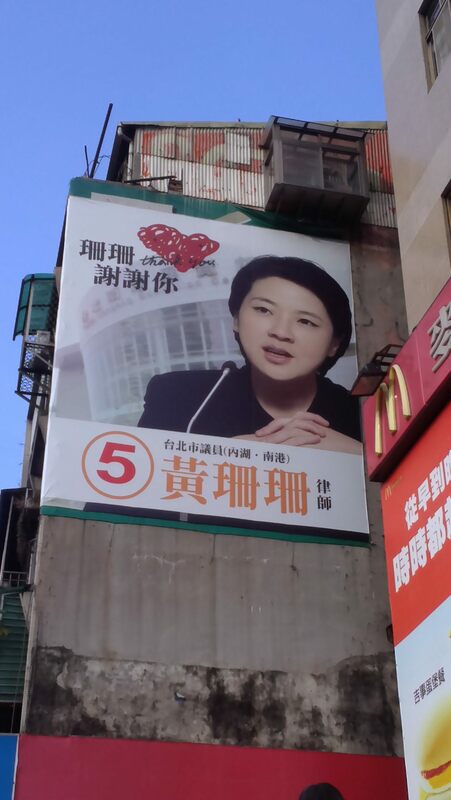 She married Hou Guan-chun 侯冠群, a New Party city councilor from District 5 (Wanhua and Chungcheng). Hou served two terms before losing in 2010. Interestingly, Hou’s campaign literature in 2010 trumpeted the marriage loudly, telling his voters that if they elected him, they would also get Lee and all of her clout working for them. 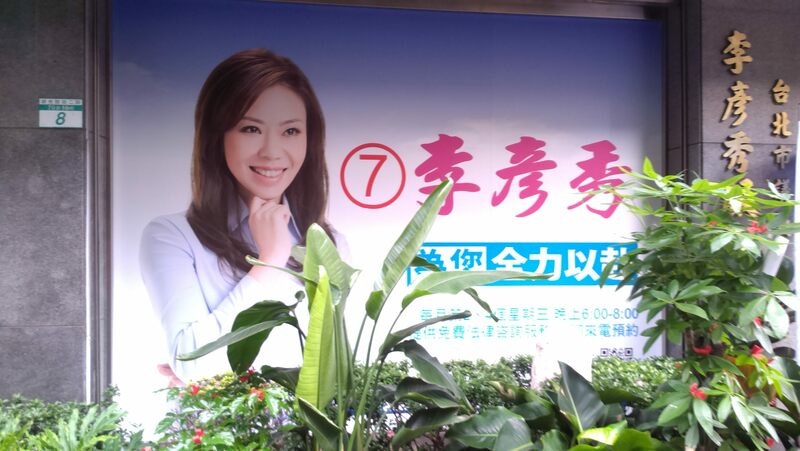 Back in Nangang, Lee’s campaign materials made no mention of her marriage. Apparently, her voters wouldn’t have thought that he added anything to her appeal. Certainly she was better at the elections game; she won over 27,000 votes, while he couldn’t break 10,000. Score for the Lee family: eight terms in the Taipei City Council. The Chueh family 闕家 thinks the Lee family “dynasty” is cute. The Chueh family is a classic example of a great local clan. The Chuehs set up camp in Nangang a few hundred years ago and, by the end of the Qing Dynasty, they were the largest landlords in Nangang. If you go to any temple in Nangang and look at the names of the donors, you will see lots of Chuehs. If you visit Academia Sinica, you will pass the Chueh ancestral home right where Section 1 and 2 of Academia Road meet. Taipei City became a direct municipality in 1967, and the Chuehs were absent in the first city council election. A Chueh lost in the second election, in 1973, but four different family members have won a combined ten terms since 1977, including two elections in which two family members won seats. The most successful Chueh has been Hsieh Ying-mei 謝英美, who won five terms (1981-1998). She turned the family business over to her daughter Chueh Mei-sha 闕枚莎 in 2002. The younger Chueh lost her first campaign, but she won in 2006 and 2010. She seems to be in no trouble this year. Here’s a picture from inside Chueh’s campaign office. Note the prominent panda. Sometimes localist KMT politicians have nativist leanings, since they tend to appeal mostly to Min-nan voters. That doesn’t seem to be the case with any of the three dynastic politicians in this district. They all seem to be clearly in the Chinese identity wing of the KMT. Score for the Chueh family: ten terms in the Taipei City Council. However, they also get some credit for four losing (though still respectable) campaigns. 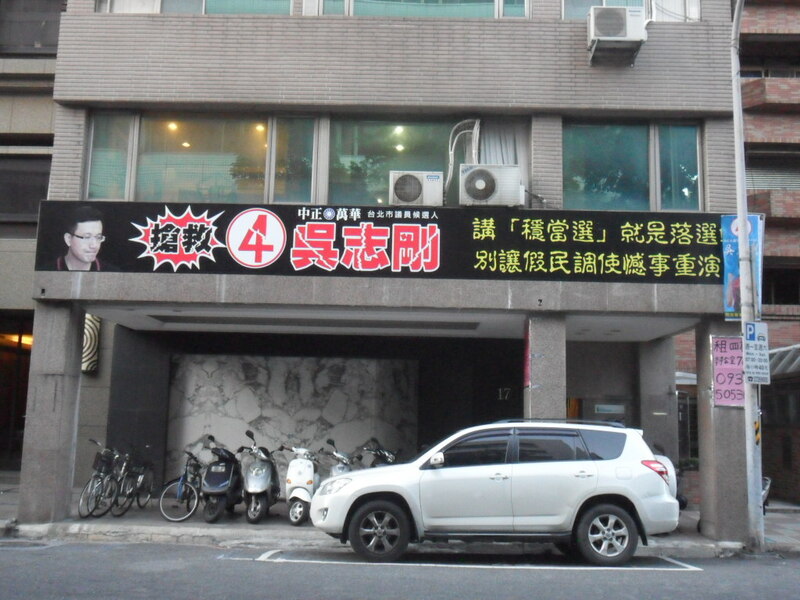 They also get credit for winning lots of Neighborhood Head 里長 positions in Nangang over the years. (In 2010, three Chuehs ran, though only one won.) They also get credit for having a unique family surname. If you meet a Chueh in Nangang, you can bet he or she is from THE Chueh family. The Chen family is the third political family in this race. The Chens are not a large, dynastic clan like the Chuehs, but they are arguably the most successful of the three families. There are only two politicians in the Chen family, current city councilor Chen Yi-chou 陳義洲 and his older brother Chen Chien-chih 陳健治. Chen Chien-chih won a seat in the first municipal council in 1969 when he was a mere 24 years old. He held the seat until passing it to his brother in 1998, and his brother is currently serving his fourth term. If you are counting, that comes out to ten terms with zero electoral defeats. However, what sets the Chen family apart from the Lees and the Chuehs is that Chen Chien-chih worked his way into the highest circles of power for nearly a decade. Chen served as the vice-speaker from 1981 to 1989, and then as the speaker of the city council from 1989 to 1998. Because of his position as speaker, he was a member of the KMT’s Central Standing Committee (CSC) for nearly a decade. In the KMT’s old Leninist authoritarian system, the important decisions were made by the party chair, ratified by the CSC, and then passed down to the Executive and Legislative Yuans for implementation. By the 1990s when Chen was put on the CSC, the formal government bodies had started to take some of their constitutional power back from the party organs. However, most important policy decisions still passed through the CSC. As a member of that body, Chen could expect a lot of deference from government bureaucrats when he asked them to do something. In 1994 Chen Shui-bian was elected Taipei mayor. Speaker Chen was suddenly catapulted into a high profile position in the media. As speaker, he was the KMT’s public face of opposition to everything Mayor Chen tried to do. It wasn’t a fair fight. Mayor Chen had cut his political teeth on public battles in the media, while Speaker Chen was an expert in backdoor dealings with party cronies. As a spokesperson, Speaker Chen was completely overmatched. Old guard KMT politicians simply didn’t know how to play to the media. Mayor Chen “won” almost all of the public fights, and this was a major element in his success as mayor. Perhaps in response to this new political challenge, a new generation of media savvy KMT politicians started to emerge in the late 1990s and early 2000s. After his second term as speaker ended in 1998, Chen was rewarded with two terms in the legislature on the party list. However, since he was just an ordinary list legislator and not speaker or a member of the CSC, his tenure in the legislature was unremarkable. I suspect Chen Chien-chih may have had a hand in Alex Tsai’s career. If you look at Tsai’s early campaigns, the geographic patterns of his votes mirrors the patterns of Chen’s votes very closely. I’ve never seen a reporter explain what the connection between the two was, but I’ll bet there was something more than the two merely being political allies. The younger brother, Chen Yi-chou, has had a much more anonymous career. He has won four elections, but there doesn’t seem to be anything remarkable about his career. As Chen Chien-chih ages, I wonder if the Chen family’s political base might be weakening a bit. If Huang Tsu-che is able to dislodge a fellow KMT nominee, I suspect Chen is the weakest of the bunch. It’s possible that after 45 years, the Chen family might be leaving the Taipei City council. Final score for the Chen family: ten city council terms including two as vice-speaker and two as speaker, two legislative terms, and nearly a decade on the CSC. If you think a political family should have contributions from several different family members, the Chueh family wins. If you care about winning power, the Chens are the clear victors. If the KMT is able to win five seats, who will lose? It won’t be Huang Shan-shan 黃珊珊. Huang is another four term incumbent, and she is, by many accounts, the most accomplished city councilor in this district. Even green politicians and supporters respect her ability and professionalism. She also has a rock-solid group of voters behind her. I think she would make an excellent legislator, and I would be quite happy if she were someday elected mayor. Her biggest political obstacle is her party affiliation. Almost all the other major PFP politicians abandoned the sinking ship long ago. Huang opted to stay in Soong’s party, and she is paying the price. If she ever wants to move up the political ladder, she needs to figure out how to get into the KMT. 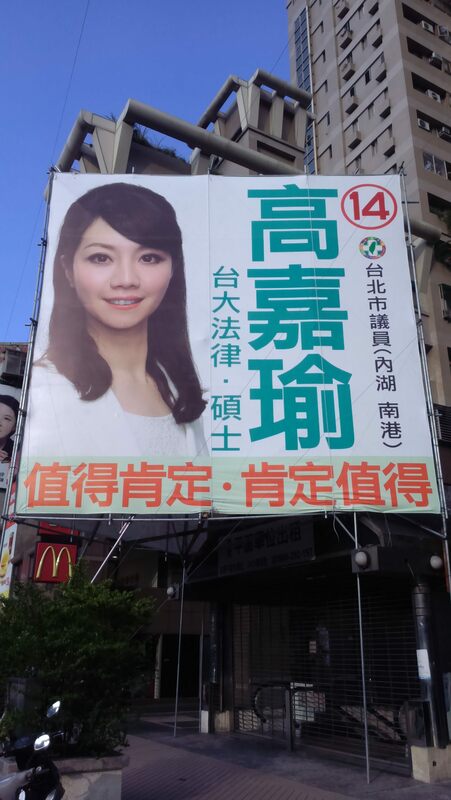 Her PFP label won’t hurt her in this election, but it is the major reason that she is still stuck in the Taipei City council. I don’t think Wang Hsiao-wei 王孝維 is the weakest of the DPP candidates. Wang is a two term incumbent, though I can’t recall him ever getting in the media. I think he does heavy constituency service. In this picture he is posing with Ko Wen-je 柯文哲. Ko’s presence in this ad is actually rather rare; in most of his ads, Wang poses with Tsai Ing-wen 蔡英文. Both of these are a bit misleading. If Wang wanted to communicate his political affiliations more accurately, he should be posing with Frank Hsieh 謝長廷, his political patron or maybe former legislator Hsu Kuo-yung 徐國勇, who handed off the city council seat to Wang in order to move into the legislature. I suppose Wang is telling us that he’ll be a good soldier for any general in the green camp. Lee Chien-chang 李建昌 might be the weakest of the four. He has won five elections, but he has yet to break 18,000 votes. Four years ago, he was the last winner and fortunate that the KMT nominated an incompetent fifth candidate. On the other hand, Lee has won five straight elections. He is from the New Tide faction, so he has a solid base to work off of. He will never soar to the top of the table, but there is a limit to how far he can sink. I think that Chiang Chih-ming 江志銘 might be in the most trouble. Chiang has one clear appeal to voters: a vote for Chiang is a vote for Chen Shui-bian. Almost all of the former Chen faction politicians have moved on and aligned themselves with Tsai Ing-wen, Su Tseng-chang, or some other part of the DPP. Other than Chen’s son, Chiang might now be the politician who is most closely associated with the former president. 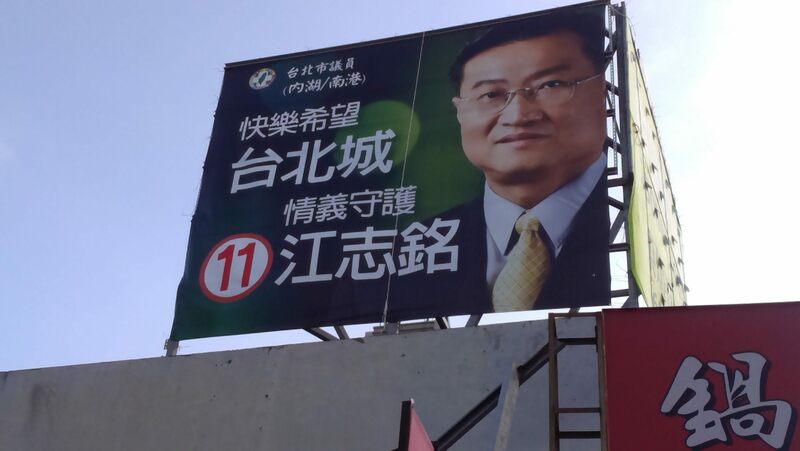 Chiang’s campaign billboard is a masterpiece. The dark green background identifies Chiang as the deep green candidate, the one for the hard-core independence supporters. Happiness and hope was Chen’s campaign slogan in the 1994 mayoral race. This slogan reminds people of a more hopeful and innocent time, with an upbeat campaign followed by an outstanding term in office. This was the Chen Shui-bian that people loved. Defender of sympathy and righteousness reminds us that Chen is still being oppressed, needs voters’ support, and that Chiang is leading the effort to help Chen. In sum, this ad is brilliant. In a few simple symbols and phrases that target voters will easily grasp, it communicates exactly why you should vote for Chiang. The problem is that there might not be enough voters who still care passionately about Chen Shui-bian. He has been out of office for over six years now, and the country is moving on to other concerns. Chiang might discover that most voters are more interested in the future than in refighting the battles of the past. It somehow seems fitting that, in the year of Taiwan’s most miserable mayoral race, the most likely outcome in this district is that the last seat will come down to a fight between Huang Tsu-cheh and Chiang Chih-ming, the protégés of Sean Lien and Chen Shui-bian, two of Taiwan’s most unloved political figures. On Sunday evening, I happened to drive past the Xizhi train station and noticed that there was a political rally going on. The rally officially opened the unified campaign office for the two DPP city council (Shen Fa-huei 沈發惠 and Chou Ya-ling 周雅玲) and mayoral (Yu Hsi-kun 游錫堃) candidates. It was a pretty small event, as these things go. I think there were about 750 people, and most of them were at least 50 years old. There were only three speeches (one by each of the three candidates) and a musical performance by Shih Wen-bin 施文彬. He was very good, but he pulled an old lady out of the audience to sing Jiang Hui’s 江惠 part in 傷心酒店 and she couldn’t keep time with the music at all. That was both comical and disappointing. The city council race in Xizhi is pretty simple. There are five main candidates fighting for four seats. There are two KMT incumbents (Liao Cheng-liang 廖正良 and Pai Pei-ju 白佩茹), two DPP incumbents, and one independent (Huang Jui-chuan 黃瑞傳) who is really a third KMT candidate. We can ignore the sixth candidate, since she doesn’t appear to be a serious contender. The blue side has more votes, but they probably don’t have enough votes to win a third seat unless the DPP fails to ration votes equally. With five candidates and four seats, any candidate who can get 20.01% is unbeatable. Assuming the DPP can manage 40% and split its votes evenly, the KMT cannot take a third seat. So can the DPP pull that off? Four years ago, the two DPP candidates only combined for 28%, but that was a very different race. There were eight strong candidates (2 DPP, 4 KMT, 2 IND), all between 10,000 and 20,000 votes. Moreover, each of the small townships, Jinshan and Wanli, had a local candidate who soaked up all of the local votes in those areas. This year all five major candidates are from Xizhi. It’s probably better to look at the presidential election to get an idea of how this year’s race will unfold. Tsai Ing-wen won 40.9% in the district, Ma Ying-jeou won 56.3%, and Soong took 2.8%. 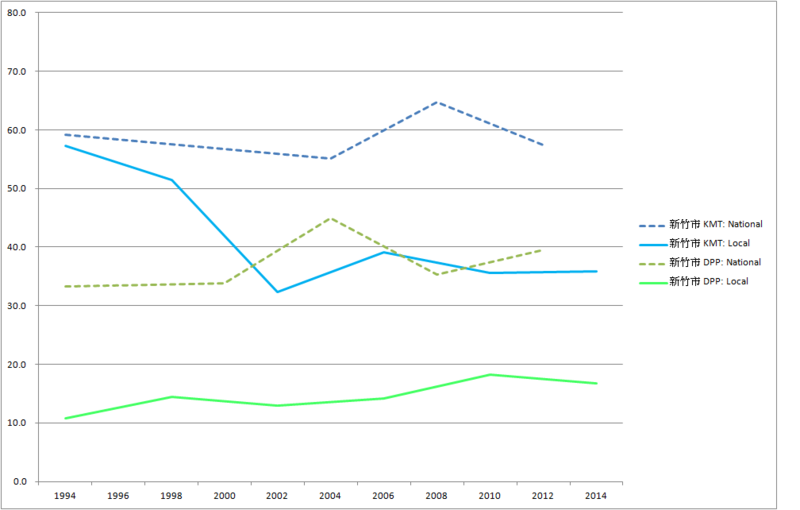 You might argue that Ma Ying-jeou and the KMT are unpopular this year, so the DPP’s vote share should go up a bit. On the other hand, you might argue that with Eric Chu on the ballot, the voters will be more likely to be voting for a blue politician at the top of the ticket this year than in 2012. I’m going to assume that this is still basically somewhere around a 60-40% blue-green district. In the past, a 60-40 national district did not translate into a 60-40 split in local elections, since the DPP has almost always done worse in local elections. 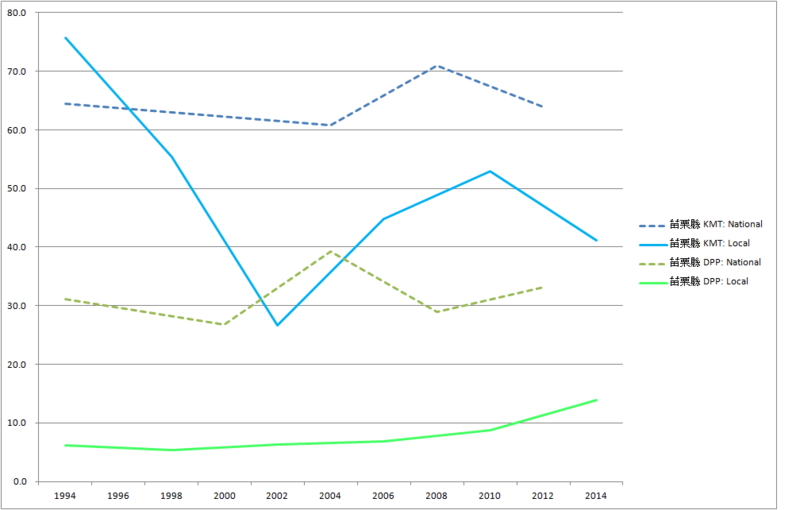 However, with two strong DPP incumbents, this district might not follow that old pattern. There should be enough votes for the DPP. The best evidence that they see things as I do is that they are running a joint campaign. You only do that when there are enough votes to go around. Their most difficult task is not in winning enough votes, but in splitting them evenly. Fortunately for the DPP, the KMT has this same challenge. In fact, with three candidates, the KMT has a much harder task. It is much harder to even out the votes among three than two. Moreover, the KMT might not be able use its party apparatus to do this since Huang is not officially a KMT nominee. By denying the third candidate a party nomination, the two incumbents made themselves clear favorites to win re-election. There is an outside chance that Huang will be stronger than expected and push aside one of the incumbents, but, if that happens, it will probably be one of the KMT incumbents. Look for a continued two-two KMT/DPP split, probably with all four incumbents winning another term. There were some common themes in all three speeches. Chou, Shen, and Yu all talked about food safety first. Then they all attacked Eric Chu’s record in office, especially his failures to build the MRT lines he promised four years ago. Finally, they all praised Yu for his contributions to flood control in Xizhi during his tenure as premier. The last point is a more local issue. We should all care about flood control, but, let’s face it, voters in Banqiao simply won’t care as much as voters in Xizhi, which used to be regularly ravaged by floods. I suppose Yu probably has some similar point about his record as office that can be tailored to every locale. However, these sorts of messages are really a waste of time. We all know that Yu doesn’t have a chance in hell of winning this race, so it is rather pointless to try to build up his positive image. There is, however, one thing he could do that would be an enormous contribution to his party. Yu should go negative. I don’t mean he should politely express doubts about Eric Chu’s record in office. I mean he should start screaming about how Chu is the worst person ever to hold executive office in as sensationalist and unreasonable terms as possible. He should go full out thermonuclear negative. Chu is currently cruising pleasantly to re-election. Most people think he has done a reasonably good job in office, and he’d like that image to remain untarnished. Right now, with most of the media attention on Taipei City and the rest on Taichung City, no one is paying attention to the New Taipei race. Chu’s ideal outcome would be for him to win a comfortable victory in a short and quiet campaign. Right now he is the KMT’s only viable presidential candidate for 2016, and every day that this doesn’t change is a good day for him. Conversely, every day that Chu isn’t challenged is a missed opportunity for the DPP. A natural assumption is that they aren’t vigorously attacking him because there is nothing to attack. What the DPP needs to do is start sowing the seeds for the 2016 campaign by planting seeds of doubt about whether Chu actually has performed so well in office. They have a potent issue in MRT construction. Chu promised several lines would be under construction by now, and he hasn’t delivered. A couple of weeks ago, Chu made a huge mistake by breaking ground on the Xizhi Line. The problem is the central government is not on board yet, and the funding has not yet been allocated. By breaking ground (so that he can take credit for doing something), Chu has basically drawn attention to the fact that the project isn’t ready to start yet. Politicians always want to do something, but sometimes it is better to do nothing and let everyone’s attention focus elsewhere. 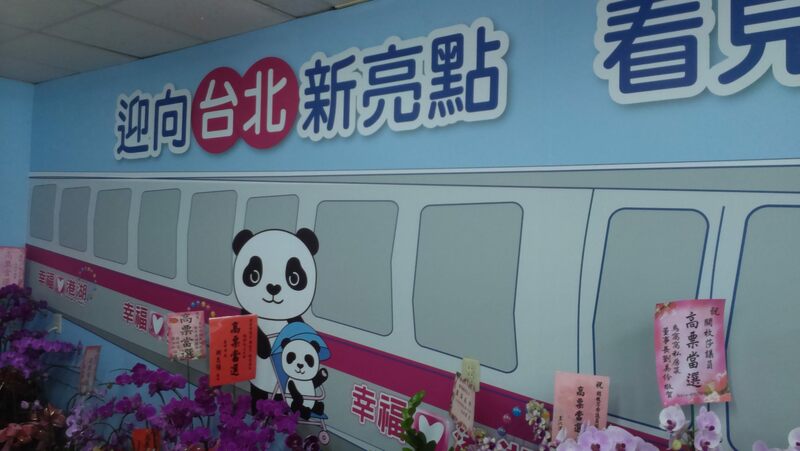 (For example, Jason Hu probably would have been better off cancelling the whole MRT project in Taichung; his BRT system simply tells Taichung voters that they can’t have nice things like people in Taipei and Kaohsiung. And then he has to remind them of it again and again, because he can’t back away from the BRT system now. He has to pretend brazenly that it is awesome and he is proud of it.) Eric Chu might realize that starting construction was a mistake, but the deed is done and he can’t back away. The DPP should club him over the head again and again. The goal is not necessarily to convince voters that he is definitely corrupt or inept, but simply to plant the idea in voters’ heads that he isn’t as wonderful as the blue media (and sometimes the green media) has made him out to be. What I heard in Sunday’s rally was a pathetic attempt to do this. If the media isn’t paying attention, simply talking about something to an audience of your most loyal supporters is just about worthless. You need to grab the media’s attention to get this idea out into the mainstream. The media loves drama, so create drama. Do something unreasonable and sensational enough to make the cameras pay attention, and then start attacking the record, not in measured and reasonable language, but in terms that would make most talk show guests blush. Channel your inner Chiu Yi 邱義. This would probably create a backlash against Yu Hsi-kun and make him extremely unpopular. Voters often hate the person doing the negative campaign as much as they hate the target of the attacks (see: Lien, Sean). However, Yu is not going to win this race, and his political career is just about over. He would not be throwing away a bright future, and he would be rendering a great service to his party. Softening up Chu now will make it a lot easier to land effective punches in 2016. There are a couple of flaws in my argument, of course. On the one hand, I doubt Yu agrees with my evaluation of his career prospects. On the other, it’s really hard to get the media’s attention, and Yu is not a charismatic guy. He might not be capable of implementing the thermonuclear strategy. On the third hand, the other green camp mayoral candidates don’t want this sort of polarized partisan environment this year. The candidates in Taipei, Taichung, Keelung, and Changhua all want to reach across the aisle to light blue voters, so they want to keep things calmer. Still, I think the DPP would be better off overall if Yu’s campaign got really nasty. This one is even more blatant. There is a musical concert for charity sponsored by KMT city council member Chueh Mei-sha’s 闕枚莎 support organization. This justifies the left banner which screams out, “Mei-sha has love.” They’re even offering a bribe to attendees: 500 free reusable tote bags. This clearly is a public service flag and has nothing to do with the election coming up in a couple of weeks. But wait, there’s more. What if you are not a member of the mayor’s party? Can you still use this ruse? Not a chance. When DPP candidate Luo Wen-chung 羅文崇 from Yonghe District in New Taipei City tried to advertise his charity 3-on-3 basketball tournament, his application was summarily denied to prevent any electioneering. Take a look at his flag and see if you think it is any more blatant that Chueh Mei-sha’s or Liao Cheng-liang’s 廖正良. 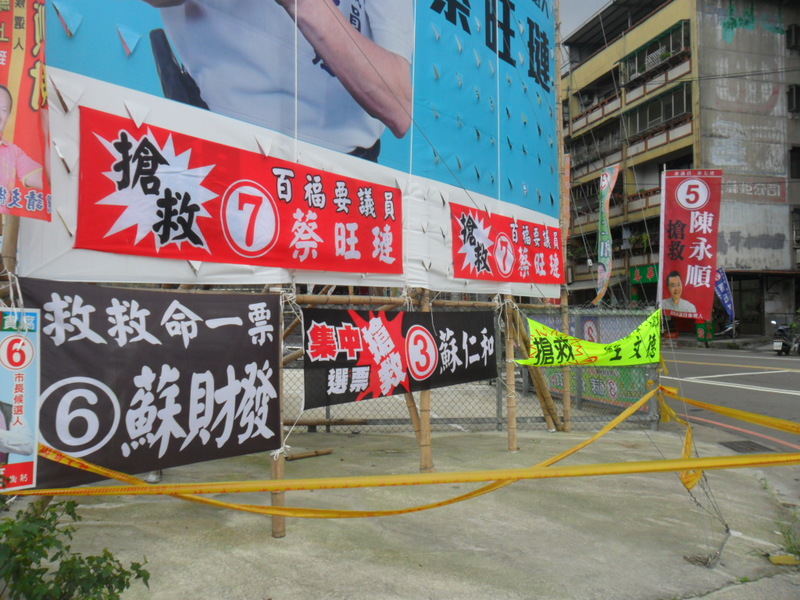 Edit: To be fair, the article says that all four incumbent city council members in Yonghe have these public service announcement flags scattered around the city. Three incumbents are KMT members, but the fourth is a DPP member. So it might be that incumbents, not ruling party members, get special favors. That’s not much of an improvement. Isn’t this interesting? 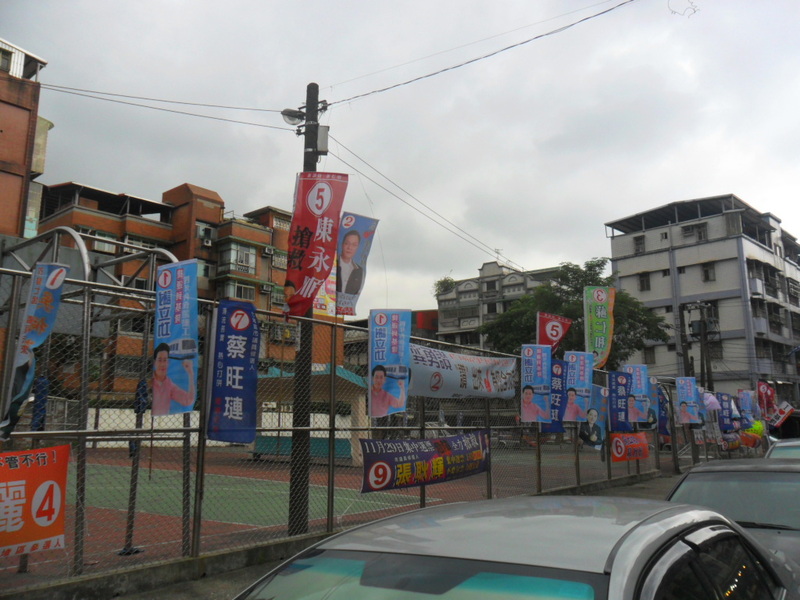 I thought that campaign flags were supposed to be prohibited in New Taipei City right now. No other candidates have put any up, so why is this candidate daring to break the rules? It looks to me like he is trying to pretend that these are not campaign flags. Instead, he is trying to pass these off as public service announcements. The banner on the right says, “Happy Birthday ROC.” Of course, if the point were to celebrate the Double Ten holiday, maybe they should have gone up two weeks ago. 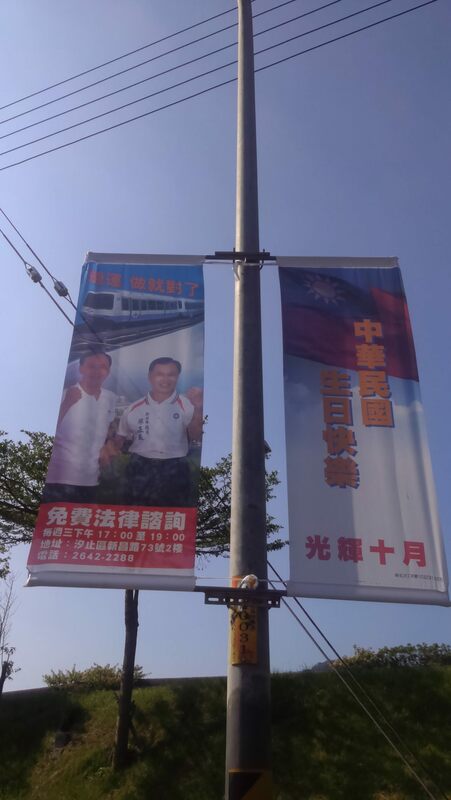 On the left side at the top, you have a picture of an MRT train and the slogan (roughly translated), “MRT, Just Do It.” I’m not sure what public service this is supposed to be or what it has to do with Double Ten day. At the bottom left, we are advised that free legal advice is available at the address listed. In the middle left, there is a big picture of incumbent mayor Eric Chu 朱立倫 with incumbent city council member Liao Cheng-liang 廖正良, both of whom are up for re-election in a few weeks. 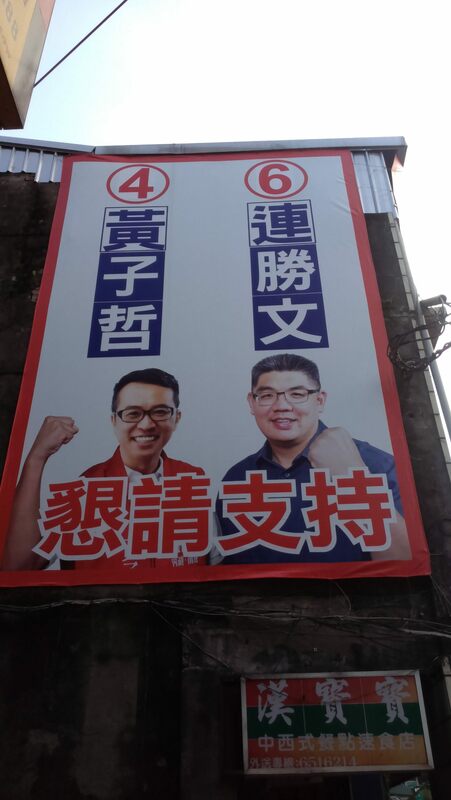 I think it might be important that Liao’s name is not printed anywhere they way it would be in a normal campaign flag. The only reason we know it is Liao is that his name is written on his shirt. See, no campaigning here! This is a blatant flaunting of the rules. 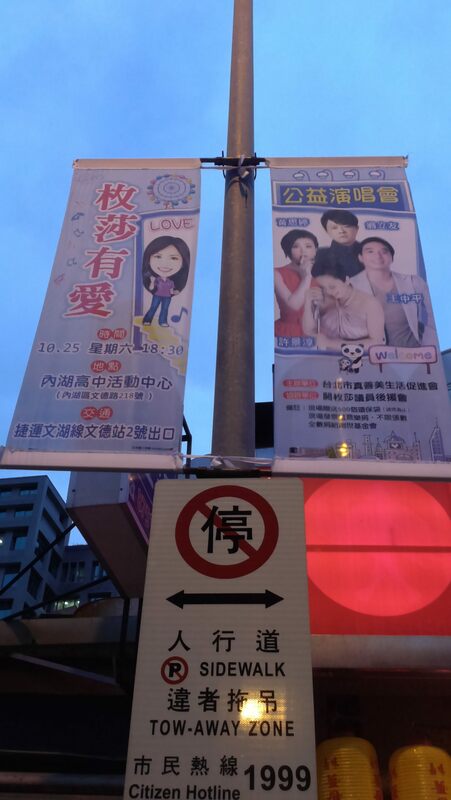 Perhaps Liao thinks he can get away with it because the city environmental department won’t take down banners with Chu’s face on them. This clearly puts Chu in the position of violating the rules for his own benefit or punishing his own ally. However, if those banners stay up and no one else is allowed to plant flags, this constitutes a clear abuse of power and an unfair advantage for Chu, Liao, and the KMT. You are currently browsing the archives for the 2014 city council category.